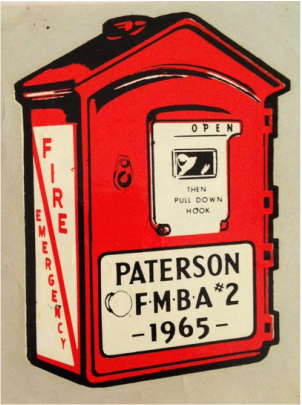 The Fire Alarm System in Paterson dates back to the Volunteer days. 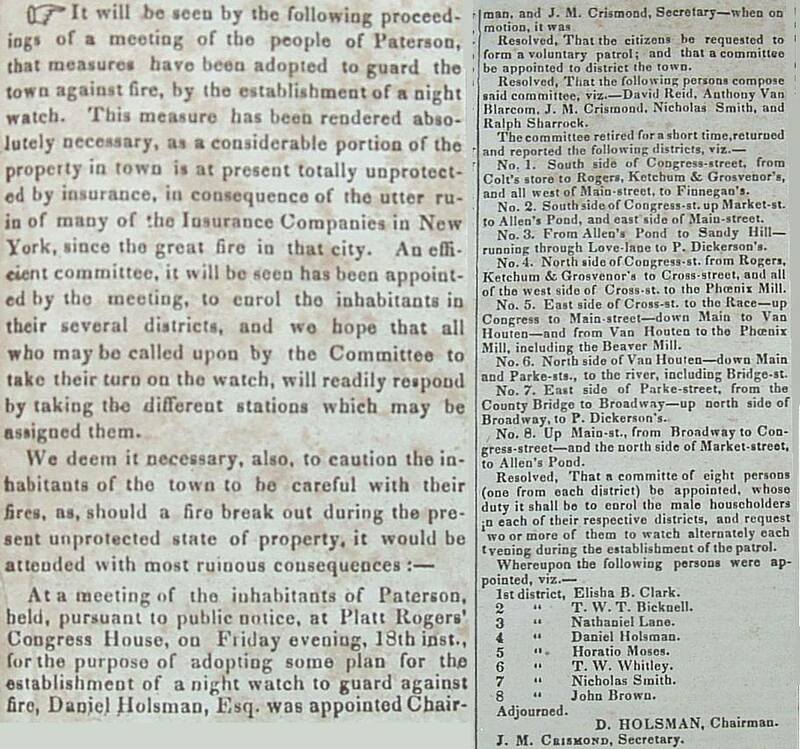 In 1821 the Board of Fire Wardens employed two watchmen to patrol the streets at night and search for fires. 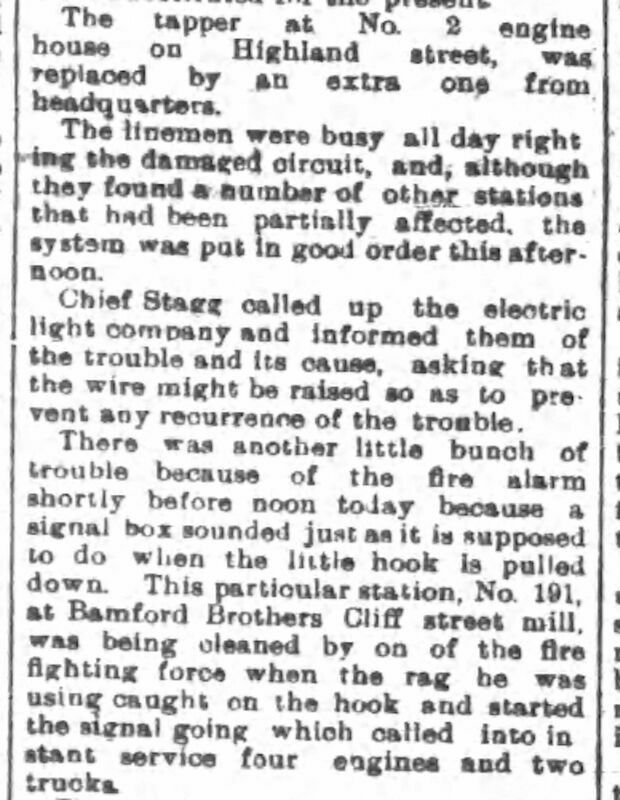 Once a fire was discovered the rest of the firemen were summoned by large noisemakers called rattles. 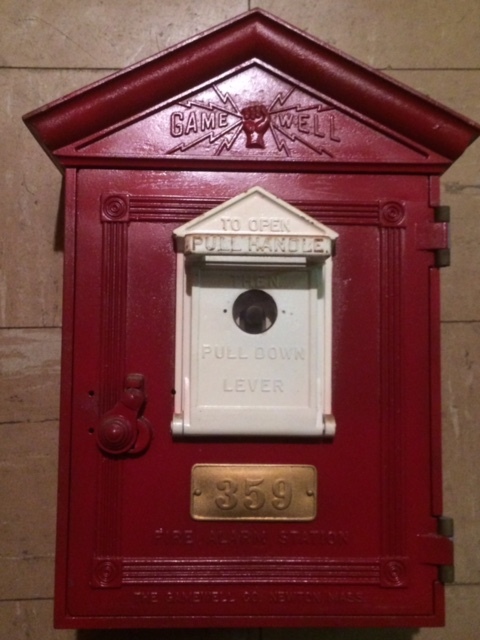 Loud clacking sounds were made when the men twirled the rattle in their hands. 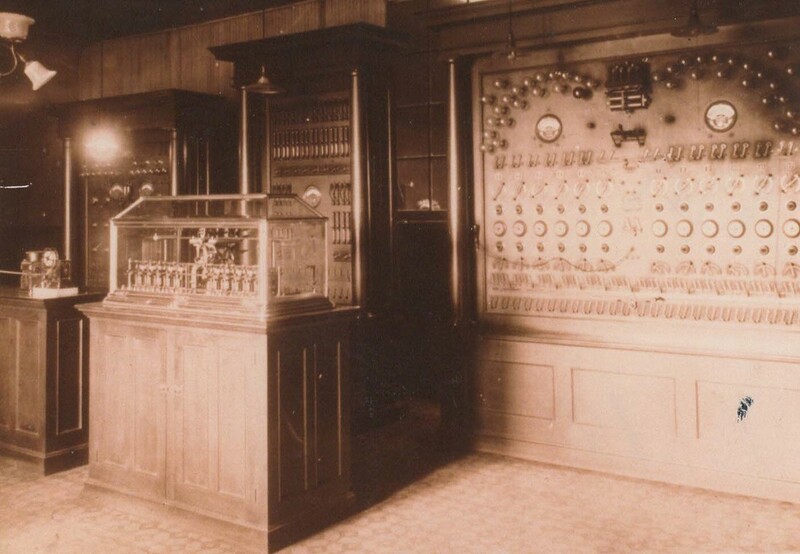 The first improvement in this system was the muffin bell. 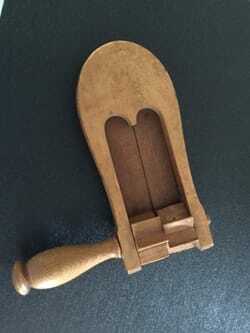 These were composed of two brass saucer shaped halves with a clapper between them attached to a turned wooden handle. 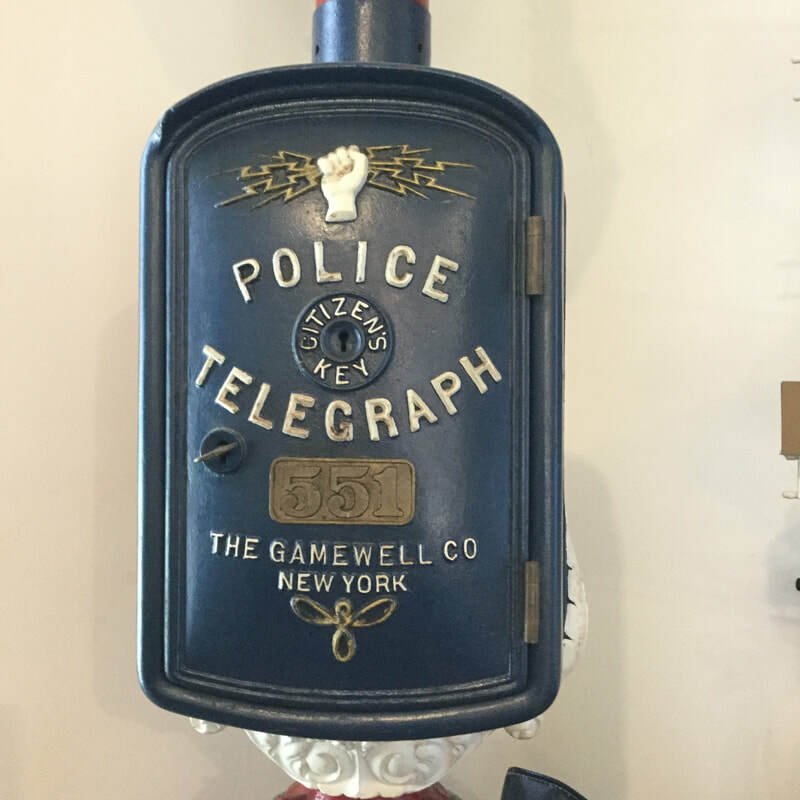 By swinging the handle and bell back and forth, the watchmen could create loud clanging sounds. As the town enlarged, persons living far from the center of town had trouble hearing rattles and muffin bells. 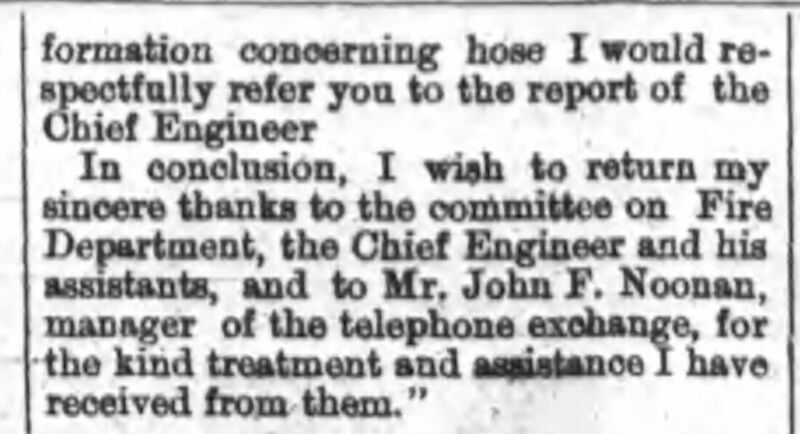 The 1880 Annual Report mentioned that he fire department telegraph, under the management of the superintendent, was in good condition and had generally done its work satisfactorily. 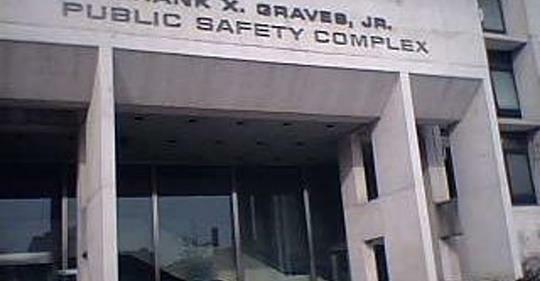 But event with the utmost care on the part of the superintendent, failures would occur, which might be attributed to the wires of the department being in collision with other boxes. 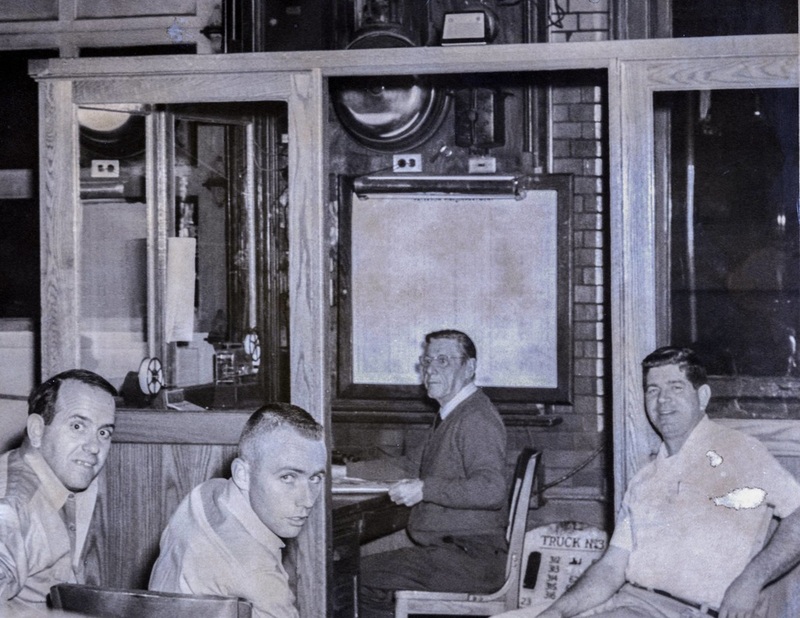 New signal boxes were from time to time added in localities needing them, as frequency of alarm stations enhanced the chances for early alarms. No. 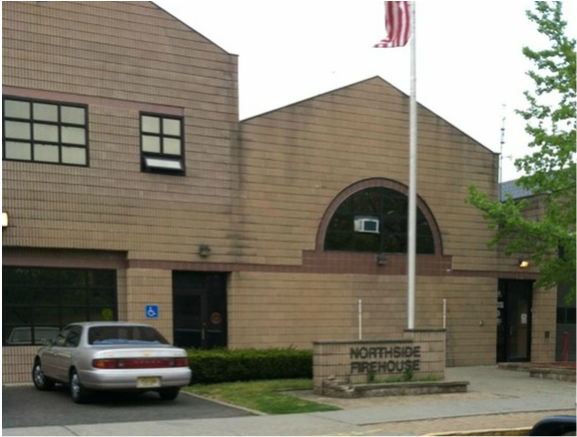 8 engine house, corner Wayne avenue and Liberty street. 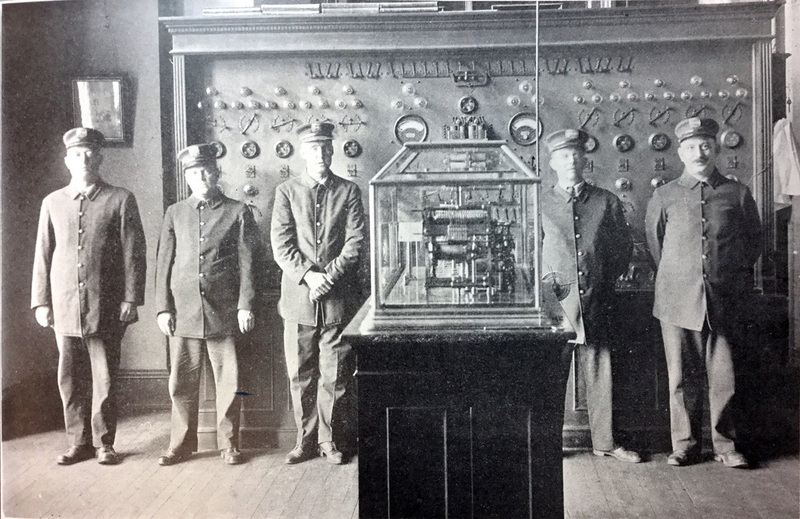 ​Subsequent Fire Alarm Telegraph supervisors successors to Edward Gore were Edward Swift (had served as Chief Engineer in 1865) , William Hobson and James F. Zeluff (served as Assistant Chief in1883. 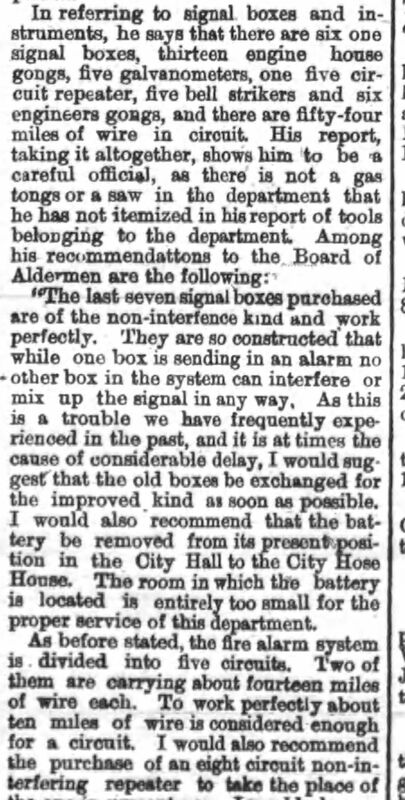 October 10, 1886: Annual report from Paterson's fourth Superintendent of Fire Alarm telegraph. 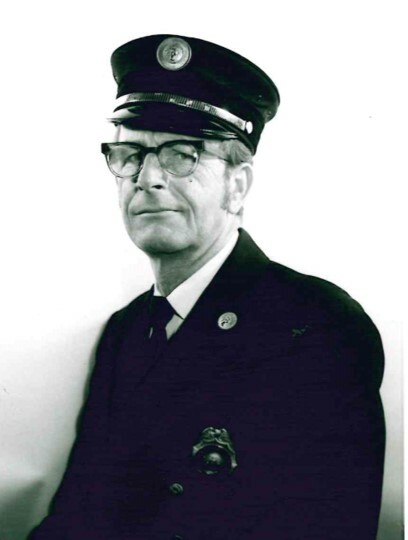 Zeluff had been a member (and president) of Neptune Engine Company 2. 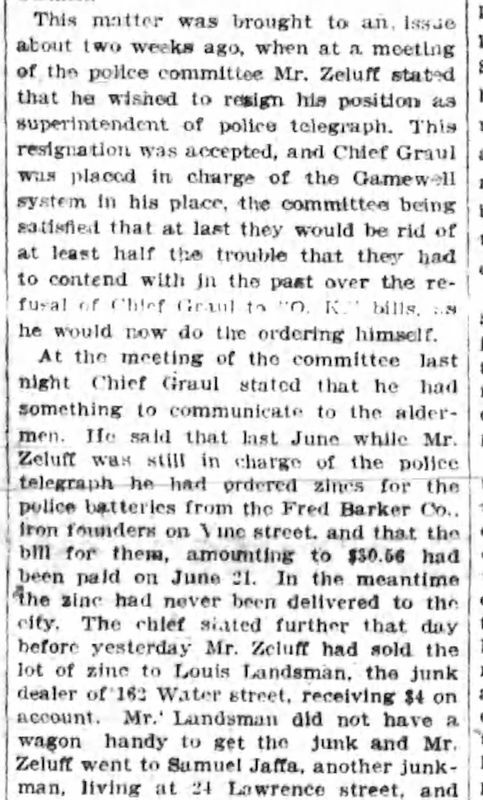 August 28, 1895: Owing to the large number of persons who congregated at almost every fire and hampered the firemen in their work, it was decided to discontinue ringing the tower bells. with Box 451 being the last sounded on those bells. 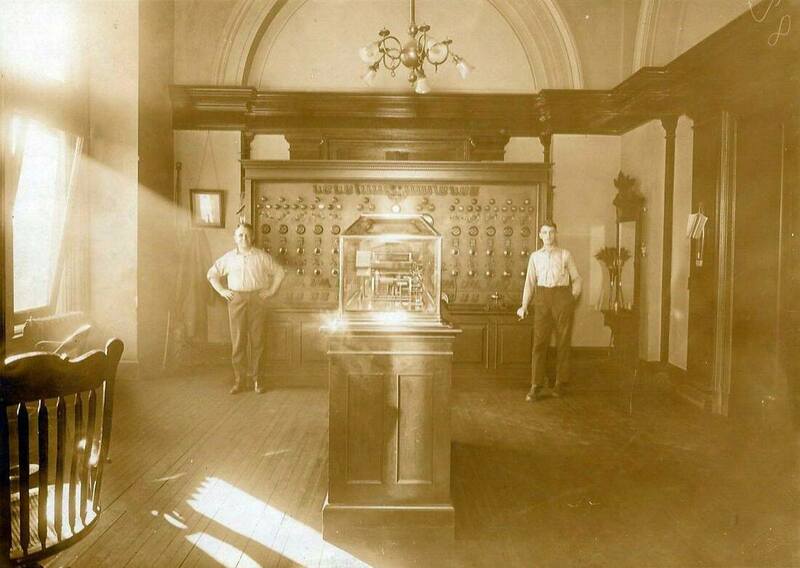 September 6, 1895: The first alarm sent over the "still" system, meaning the big bells were not sounded) was box 651. 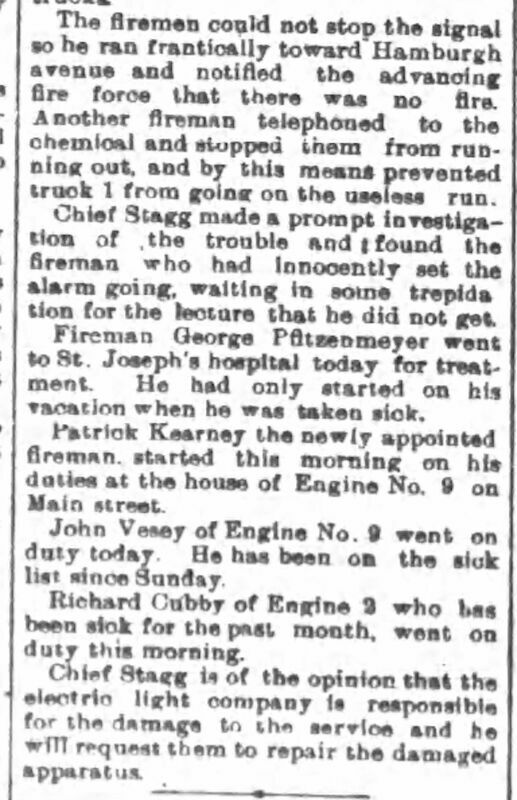 February 10, 1902: Great fire destroys City Hall and the fire alarm system. 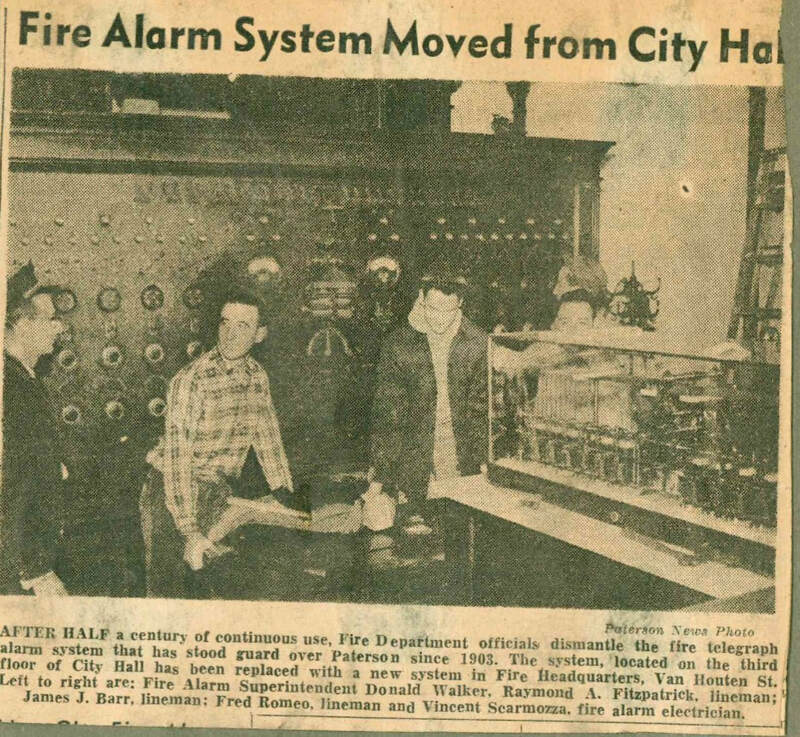 Within 10 days the FAO was up and running again at the Hose House on Bridge Street. 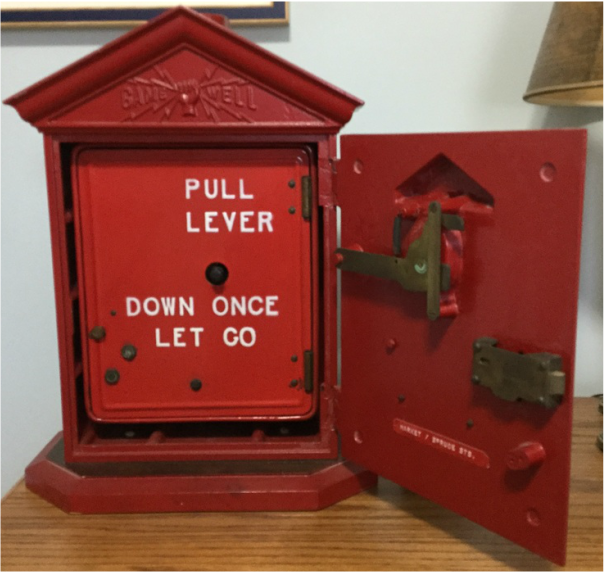 ​A citizen could summon the fire department by opening the fire box with a key and pulling a lever. 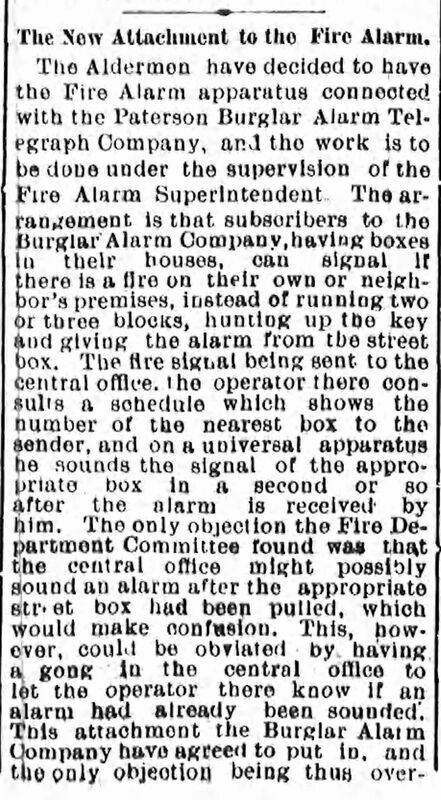 The keys for the boxes were kept in nearby buildings, meaning a person had to obtain the key before sounding the alarm. 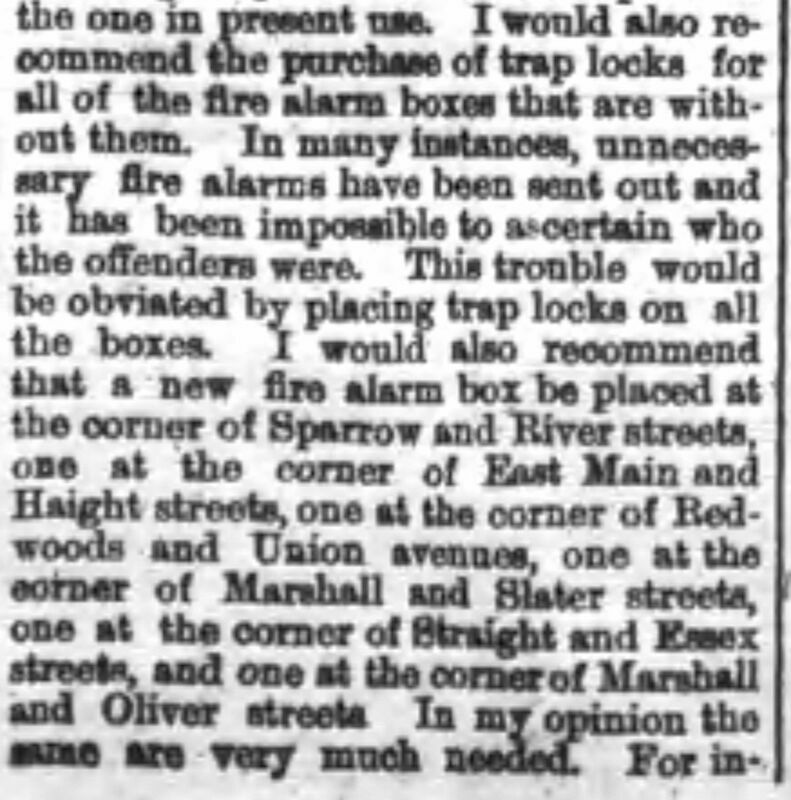 ​The newspaper article below explains how to use the street boxes! 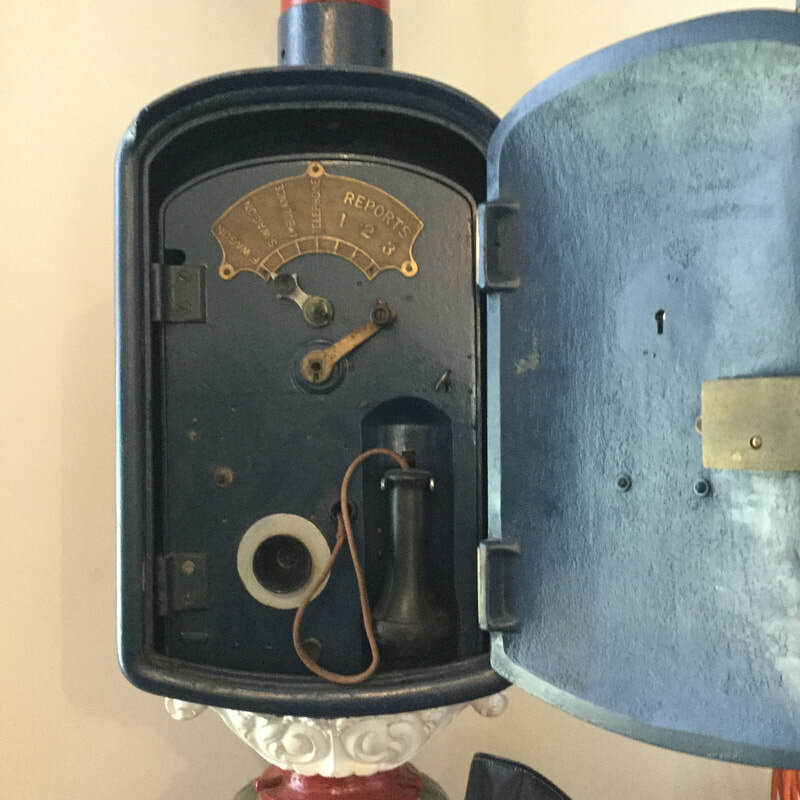 At the end of the century alarm boxes were made that could be opened without keys. 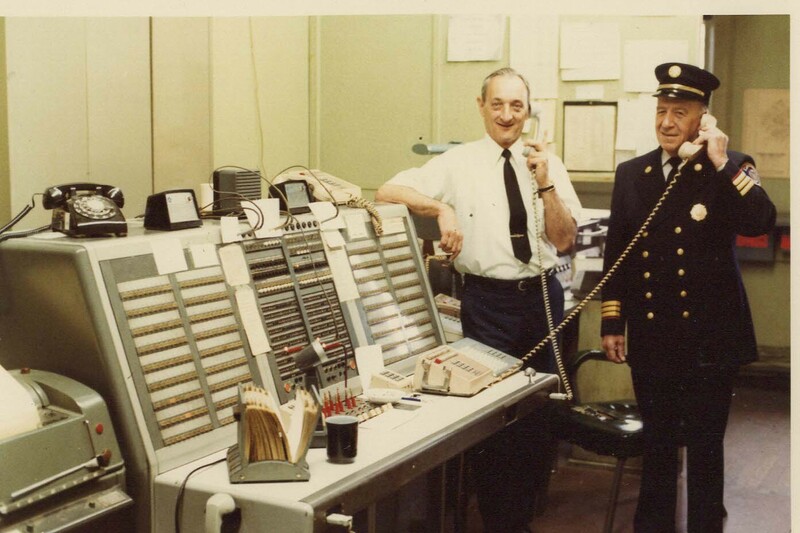 Once the signal reached the Fire Alarm Office located at the 10 Hotel Street Firehouse, an operator would transmit it to the firehouses or bells located in the Chiefs homes. 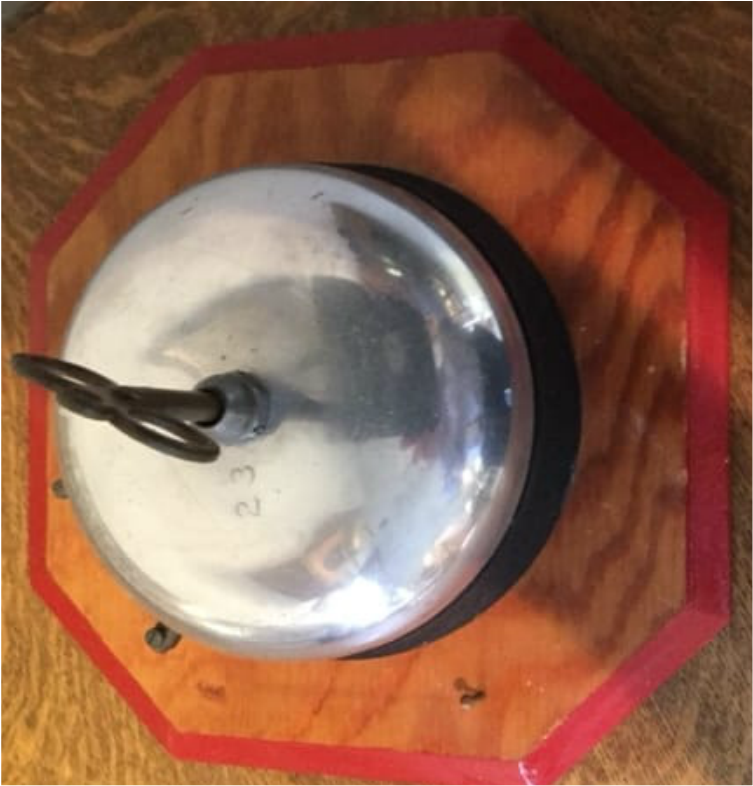 By counting the number of times the bell was struck or sounded the firemen knew where to respond. 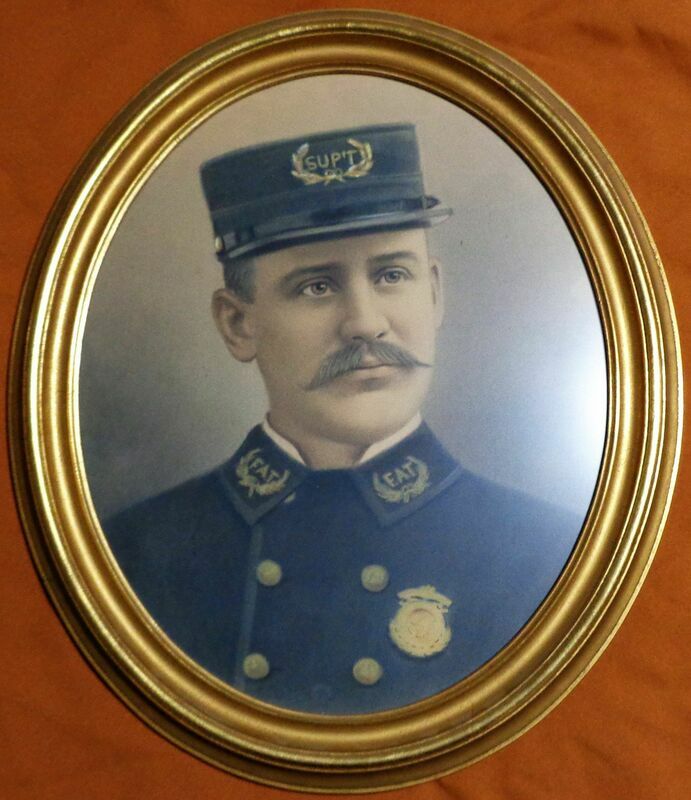 ​James Zeluff was superintendent when the department went professional in 1890. 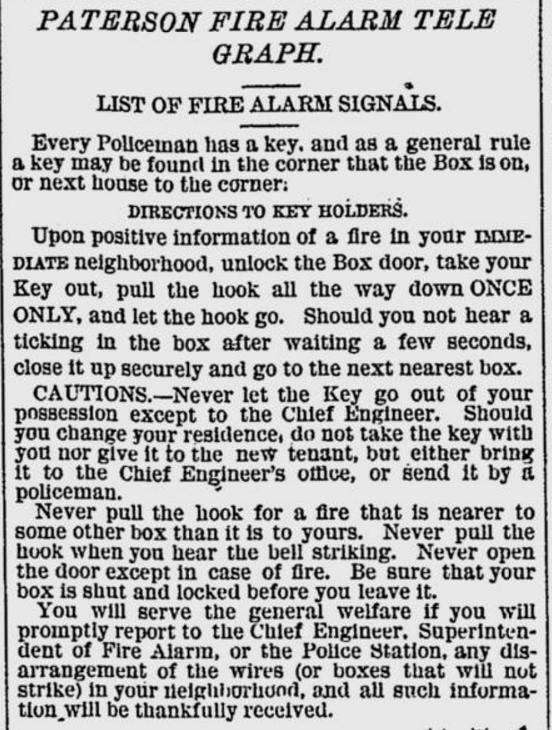 ​The 1893 Rules and Regulations stipulated that the Superintendent of Fire Alarm Telegraph. 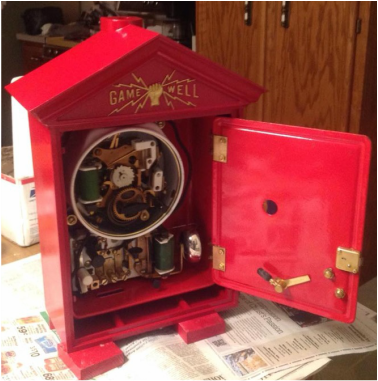 any interruption in the working of the lines or apparatus whereby there shall be a delay in giving or receiving an alarm of fire unless the same is immediately repaired. In such report he shall state what amount of delay will occur in repairing the same, and when repaired he shall see that the chief engineer has notice of the fact. 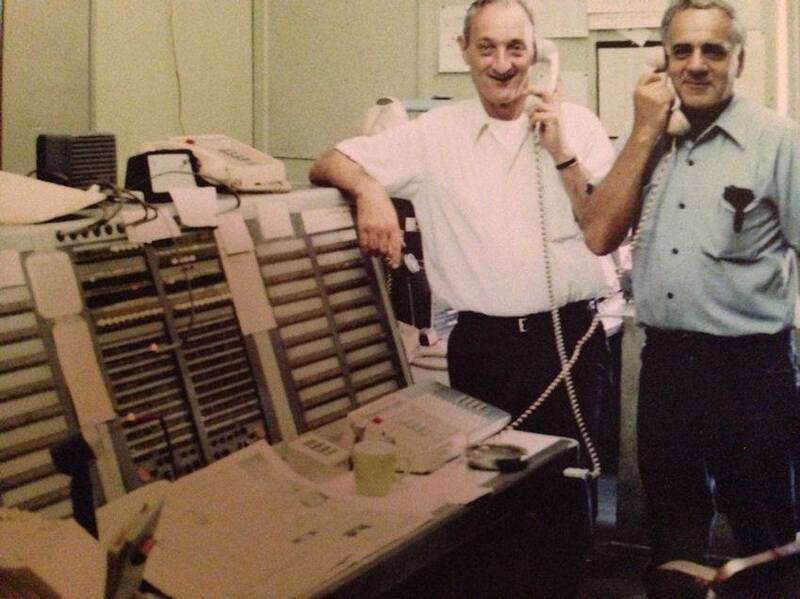 Lineman. 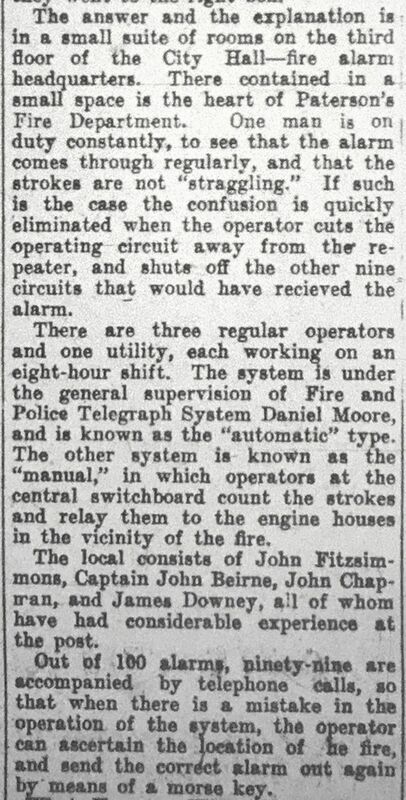 — The Fire Alarm Telegraph Lineman shall be under the supervision of the superintendent of fire alarm telegraph. 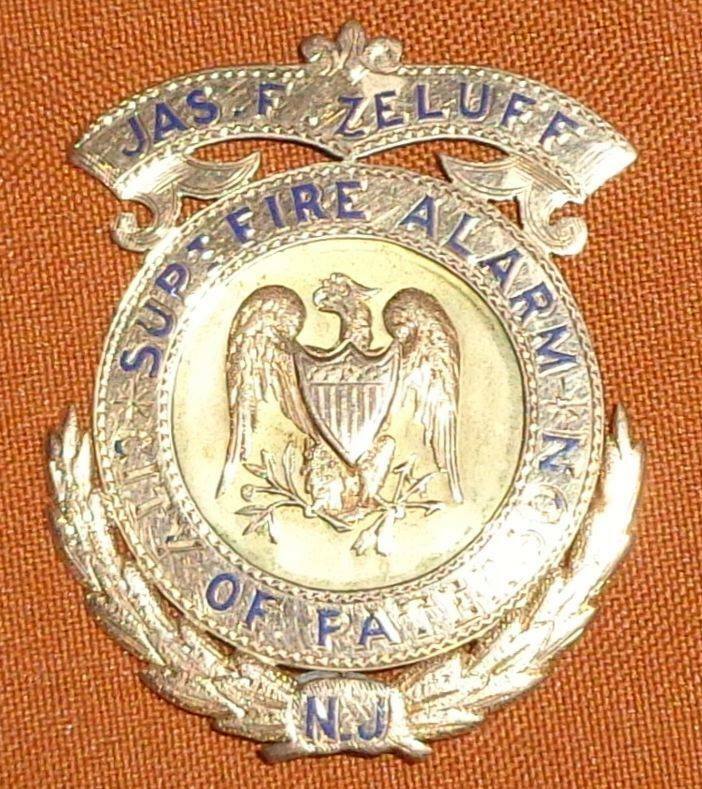 There have been four Superintendents of Fire Alarm in the paid department starting with James Zeluff. 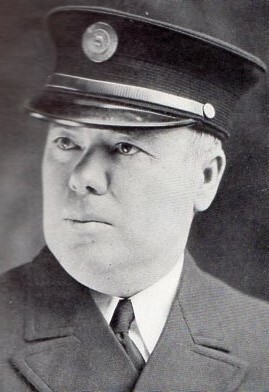 Following him were Daniel Moore, Joseph Gaugan and Donald Walker. 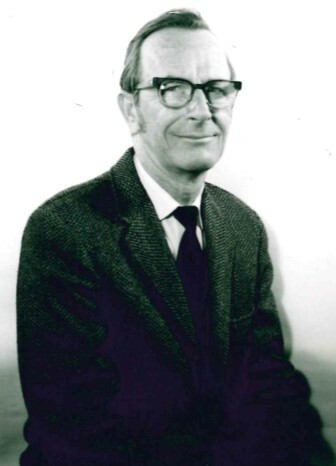 The position was eliminated in the 1970s. 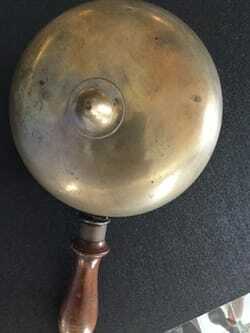 Fancy oak cased gong photo courtesy of the Moore Family: ? 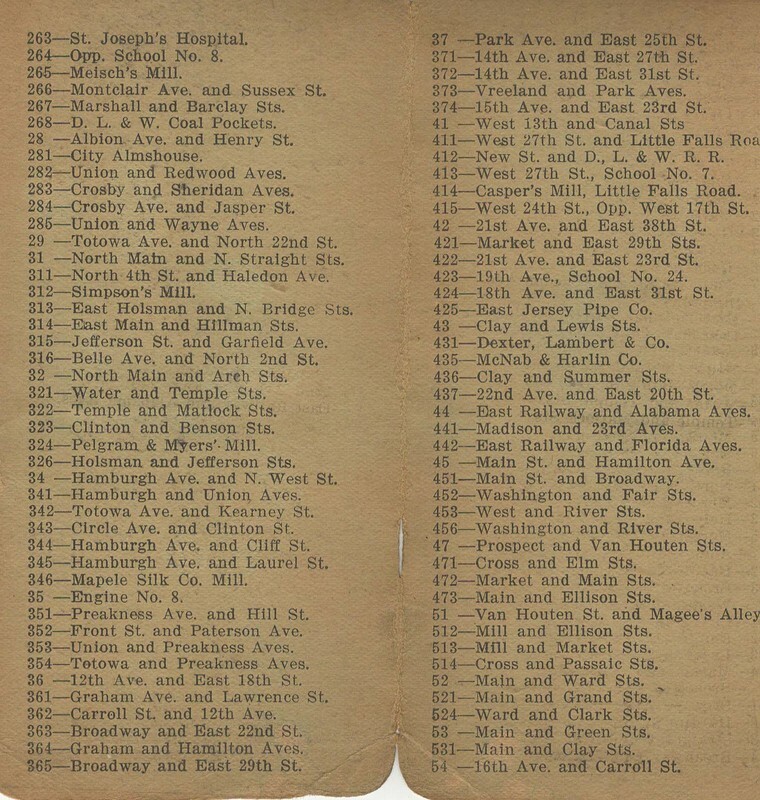 origin from quarters at 298 Tyler Street (176 12th Avenue) that housed both Engine Company 7 (1890-1895) and then 3 (1895-1962). 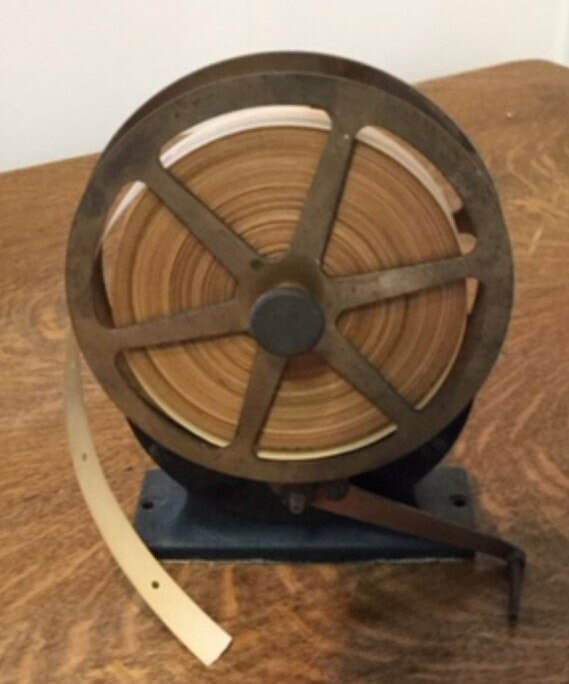 Looks to be a Gamewell Electro-Mechanical Excelsior Bronze gong. 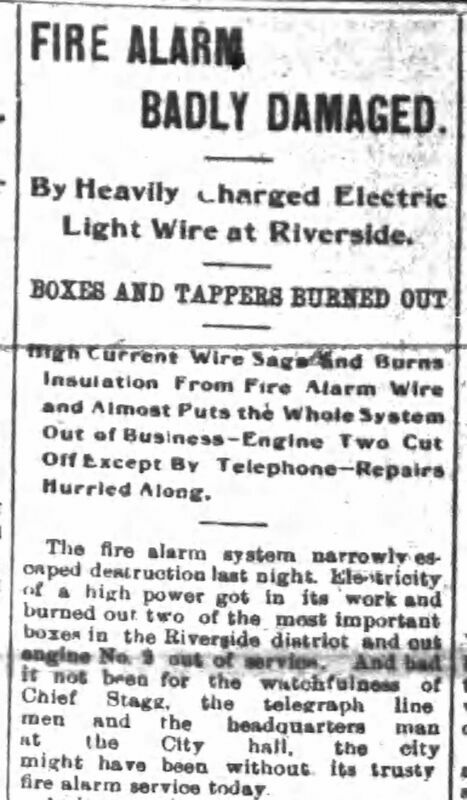 March 18, 1928: Article from the Chronicle which explains in depth the fire alarm system. 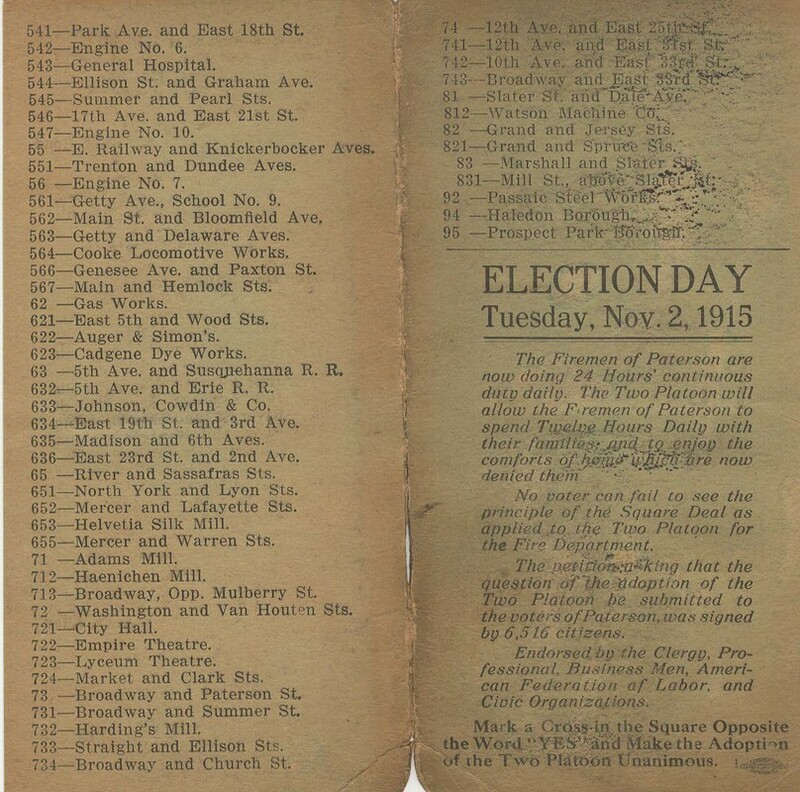 News clips courtesy researcher Dennis Morrison. 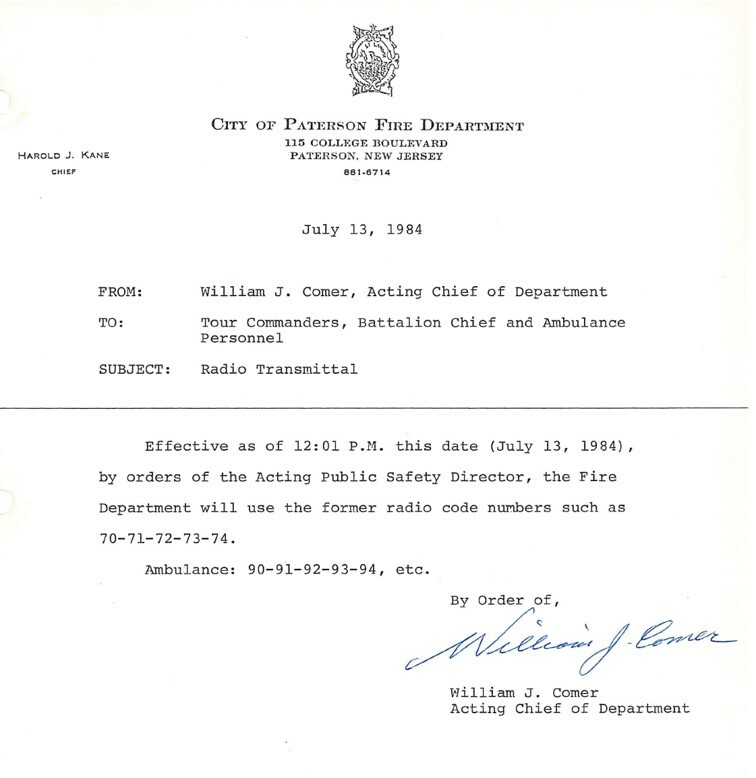 ​Effective immediately; when 8 straight blows are received on company gong, the company commander shall immediately sound the warning siren on the roof of company quarters in the following manner "Three minutes of fluctuating Notes on siren." 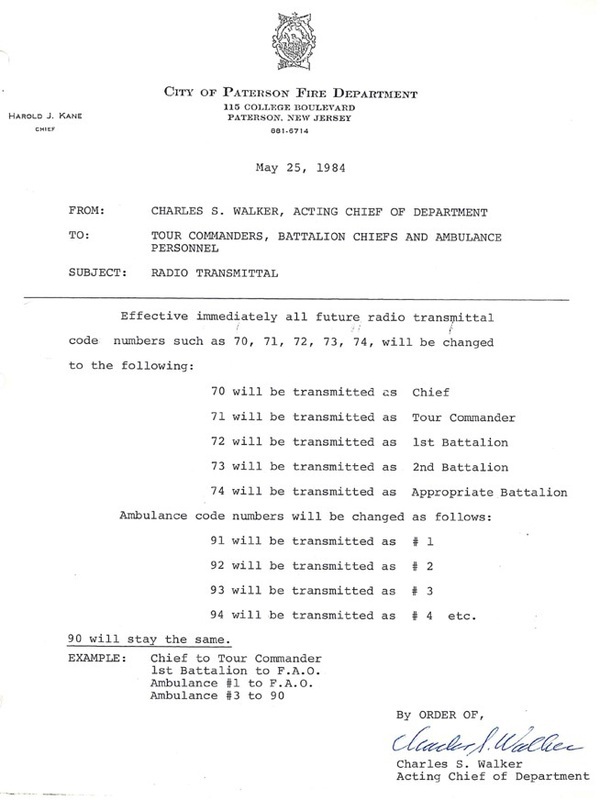 Upon receiving 8 blows, followed by 8 blows followed by 8 blows "(888)" on the company gong, it will be an "All Clear" signal and the company commander shall then sound the warning siren in the following manner - "Three - one minute steady blasts of the sirens - with two minutes of silence, between each blast"
January 13, 1951: The first test of the gong/air raid system performed and 8 taps sounded at 11:59AM. The 8-8-8 all-clear signal on gong received 12:20 PM. 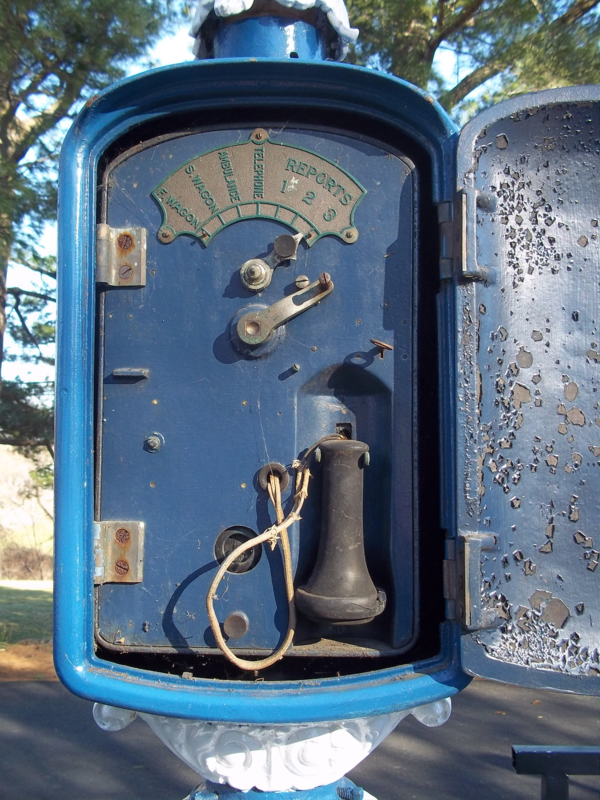 Four rounds are transmitted for a street box or a city box within a building. 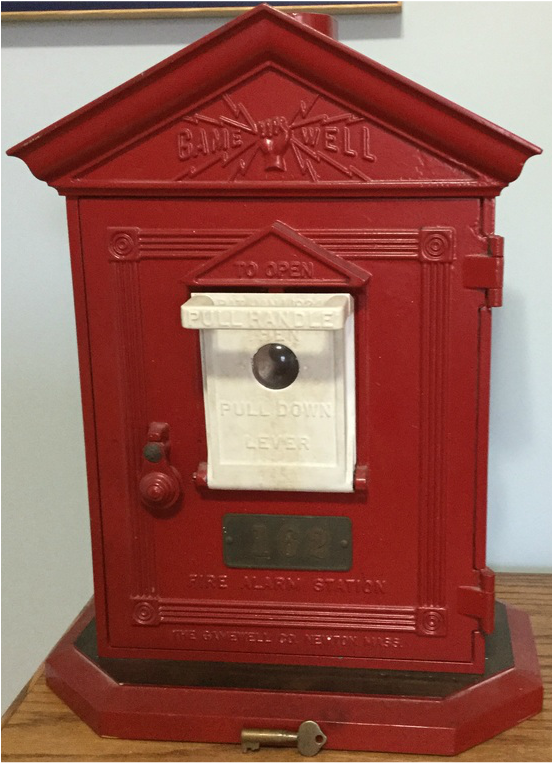 If a still alarm requires a full box assignment, two rounds are tapped out and the first due company is notified by phone. 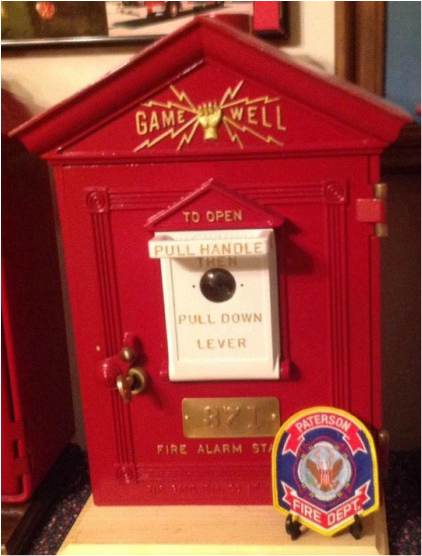 Second, third and 4th alarm signals are 2-2, 3-3, 4-4 followed by the box number. 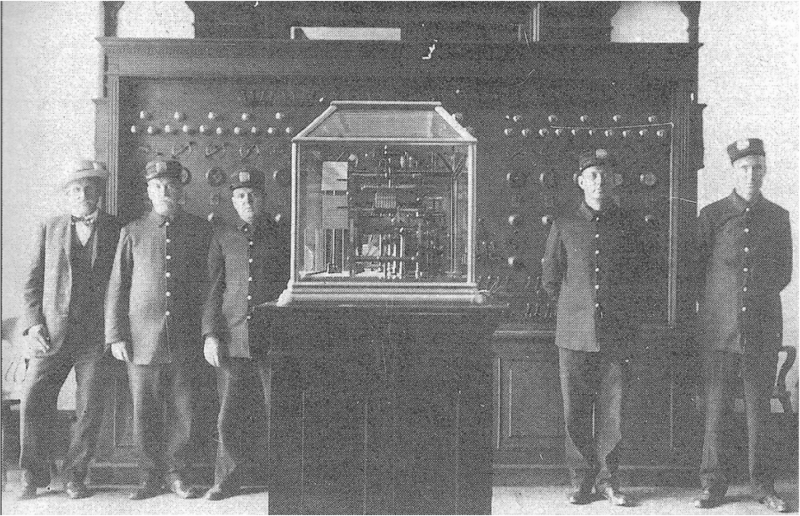 A general alarm is ten consecutive taps followed by the box number. 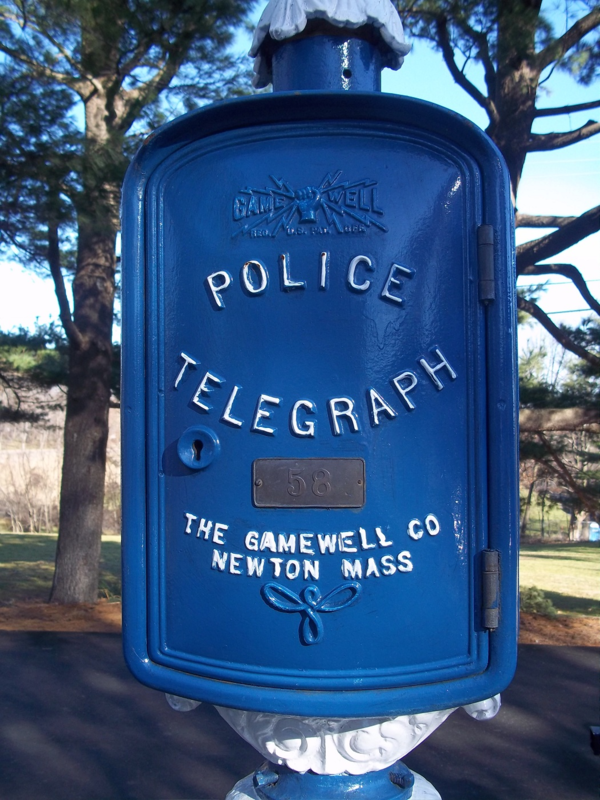 The time signal at 8:00 AM, 12:15 PM and 6:00 PM is four consecutive taps. A first alarm response was 3 engine companies, a truck company and a Battalion Chief with the exception of several Master Boxes (hospitals, schools, etc) to which 4 engine companies and 2 trucks responded. 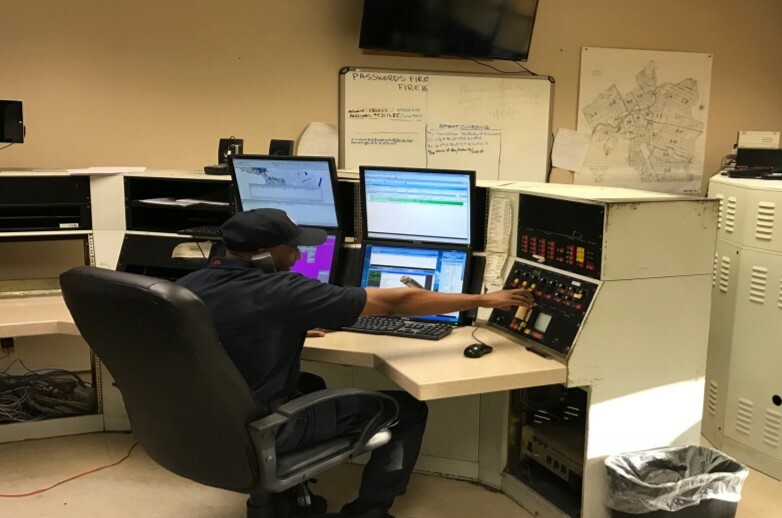 A second alarm response is two engines and one truck, a third and fourth alarm two engines each and a fifth (general alarm) is 4 engines and one truck. 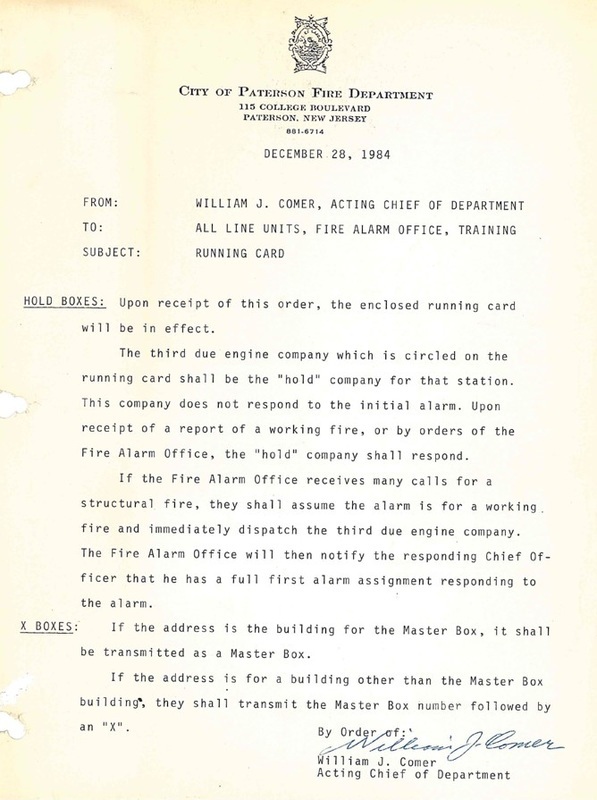 Notice in the 1952 alarm book below that company response is listed in numerical order whereas in the 1961 version, companies are listed as first, second and third due. 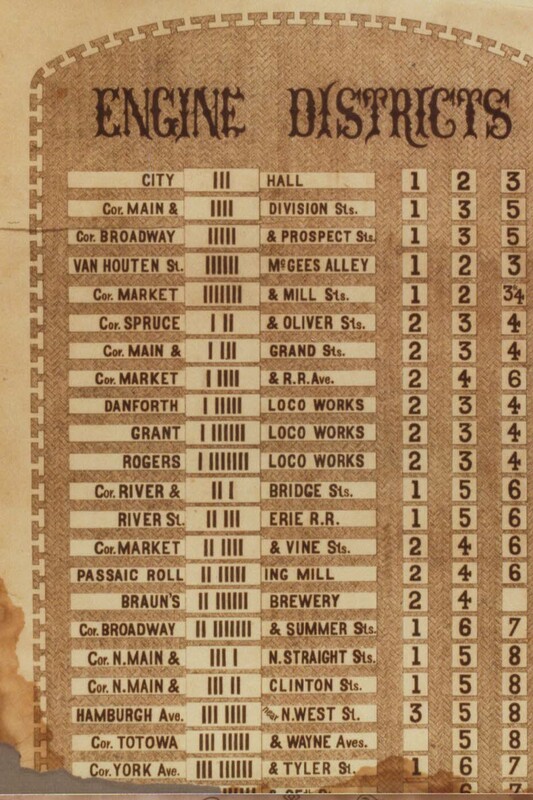 Note the "19" stations above. 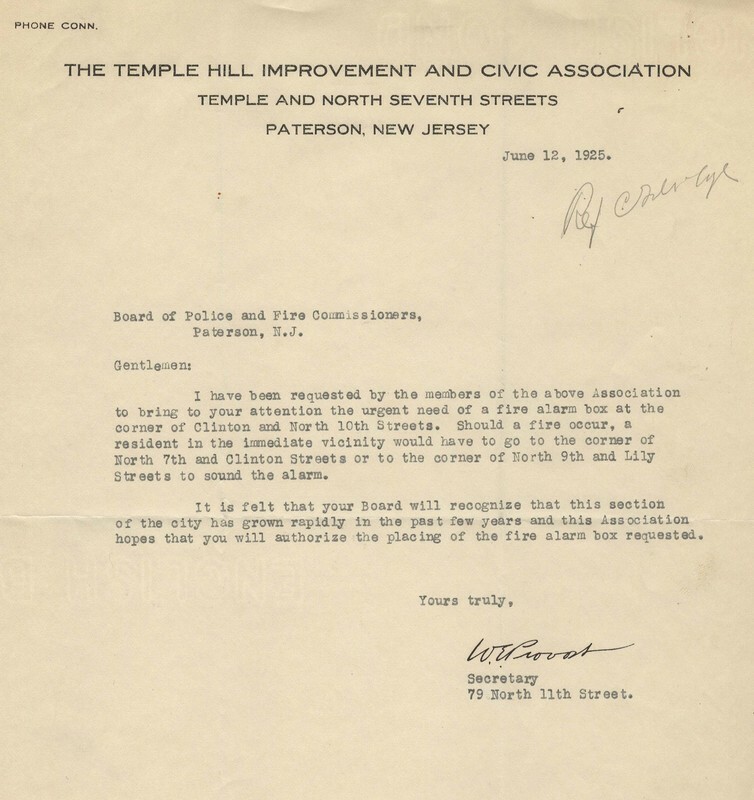 The 1925 letter below is from the Temple Hill Civic Association requesting a box for the corner of North 9th and Clinton Streets. Their request was fulfilled. 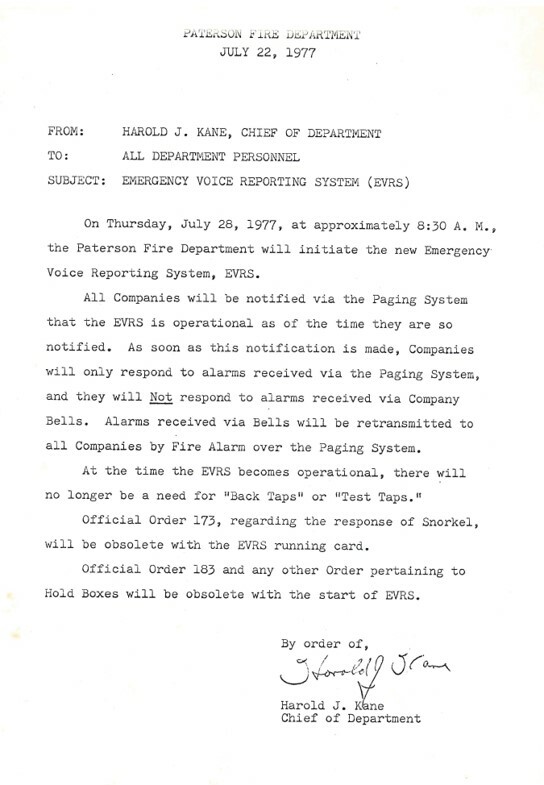 June 30, 1977: The old bell alarm system was replaced by the EVRS system. 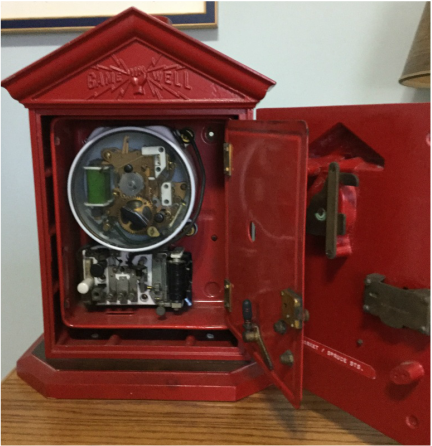 The last alarm transmitted over the old system was station 623 for a car fire on 5th Avenue. 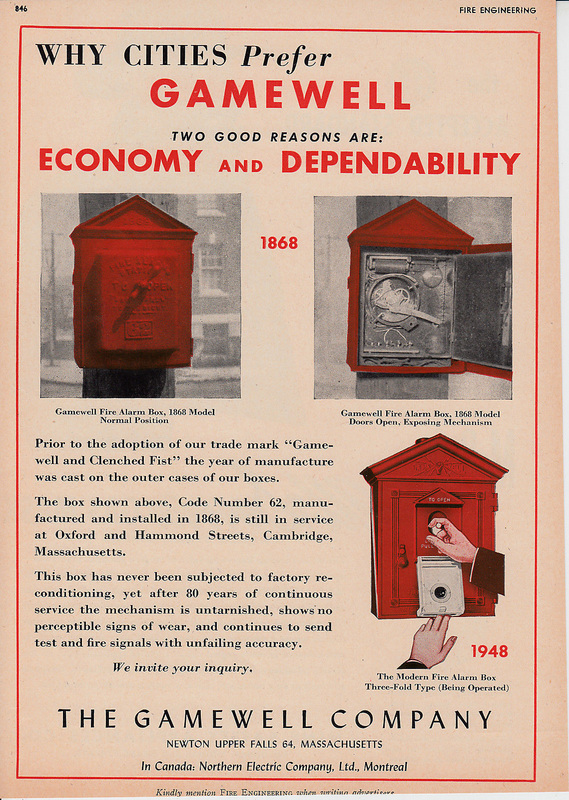 All of the old fire alarm boxes were replaced with yellow boxes inside of which is a telephone. 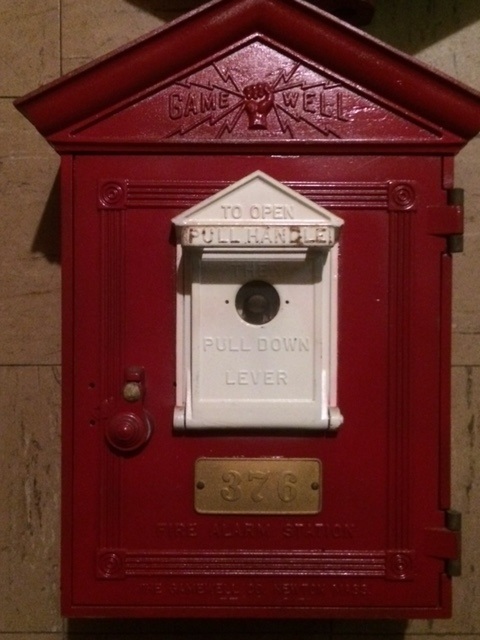 This enabled a citizen to speak directly with a fire alarm operator. 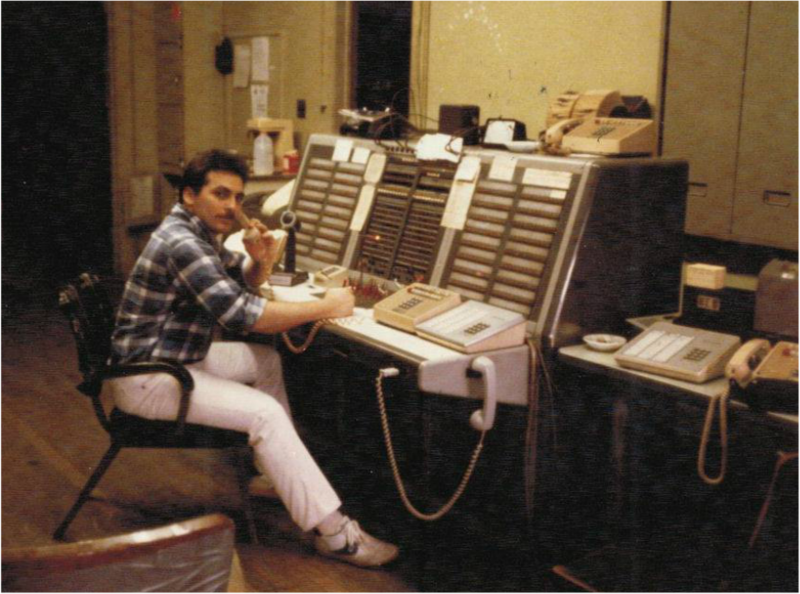 The dispatcher then communicates with the different firehouses directly over a speaker system. bells were no loner sounded. 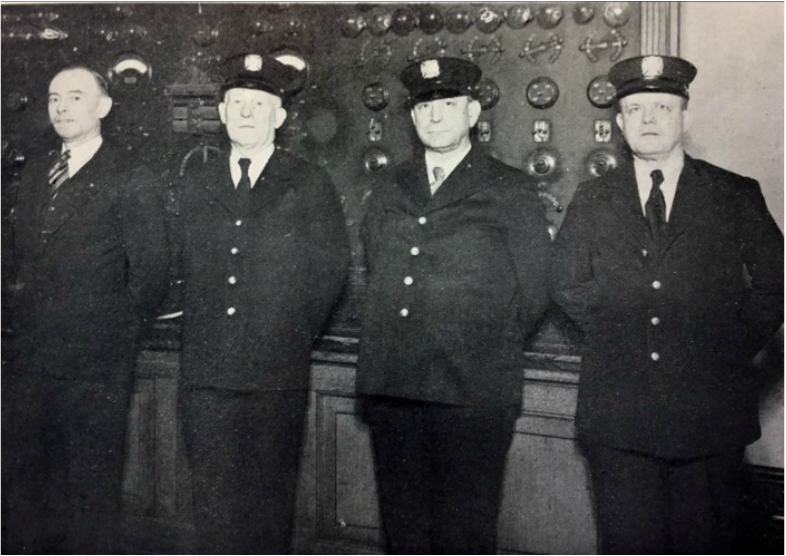 In the early days of the paid department, there were 8 Engine companies, one chemical company and 3 Truck Companies. By the time a third alarm was sounded almost all of the companies were involved. 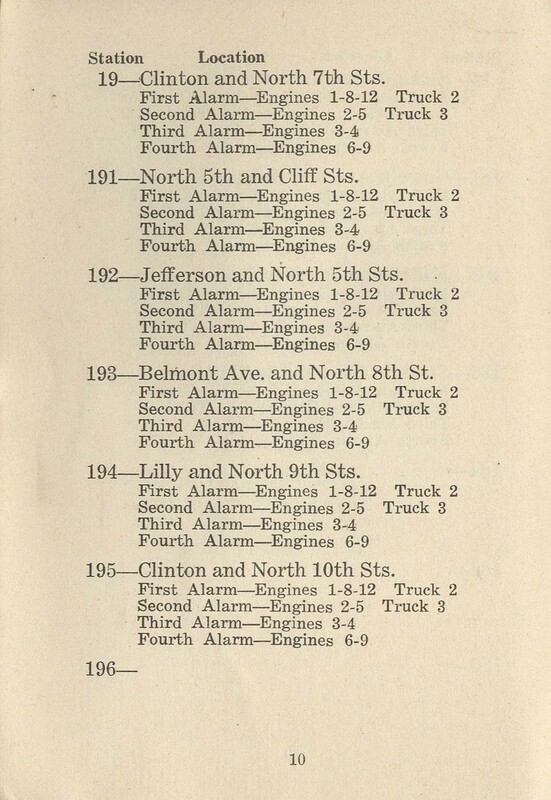 As the department expanded to 12 Engine Companies by 1912 and 13 by 1928, 4th and as they were called "General Alarms" (technically a 5th) became possible. 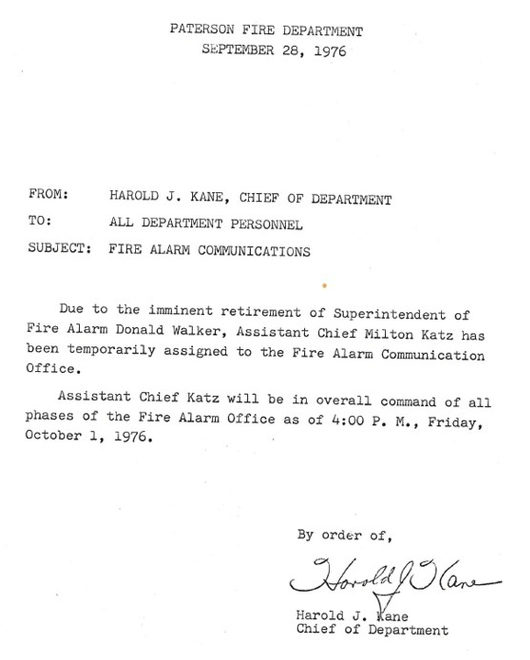 If a chief commanding at a 4th alarm fire needed more help he would request a general alarm be sounded. 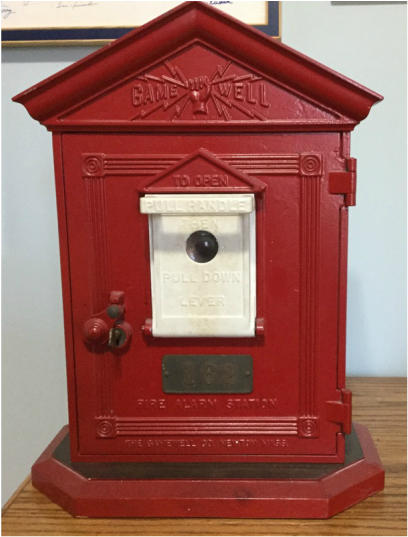 Currently, the term General Alarm is never used except perhaps descriptively "after the fire." 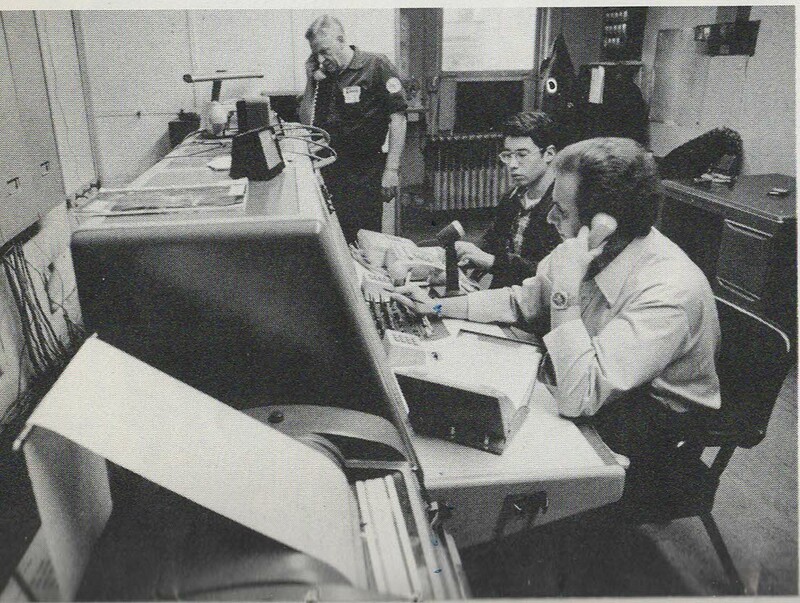 In 1962 Engine Company 4 was disbanded and by the 1970s and 1980s the number of companies started to further reduce. 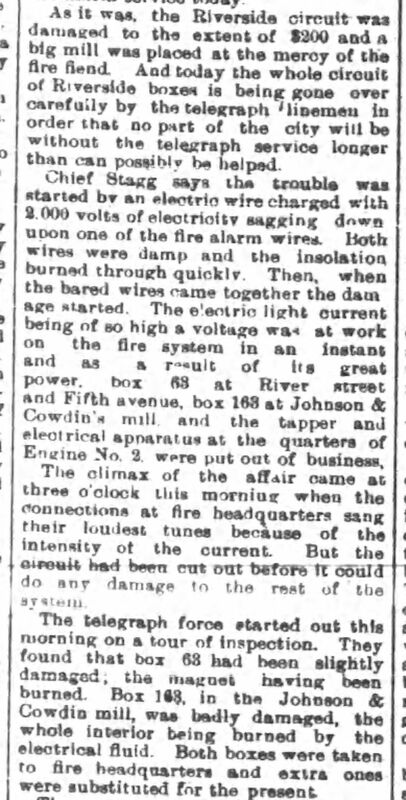 Between 1928 and 1962 a 1st alarm sent 3 engine and 1 Ladder ompany: on a second alarm 2 more engines and another Ladder - on 3rd and 4th alarm 2 more engine companies each time - On the General or 5th alarm - all remaining companies (4 engines and 1 Ladder Company) responded (after 1962 it was 3 engines and 1 ladder). 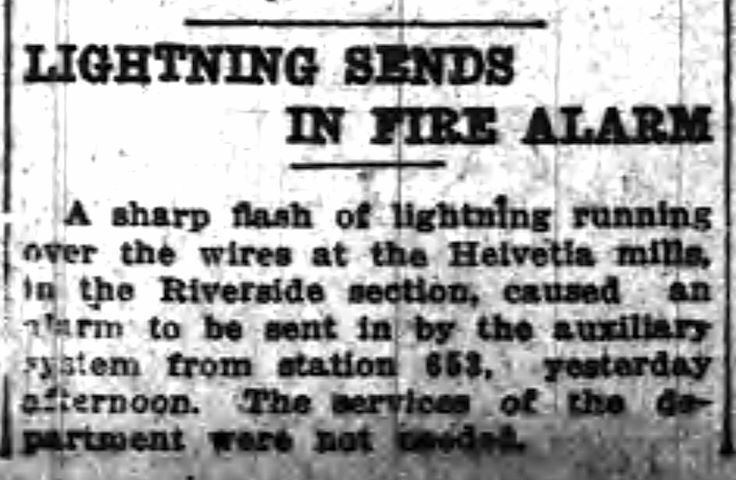 There was no such thing as a 6th or higher alarm. 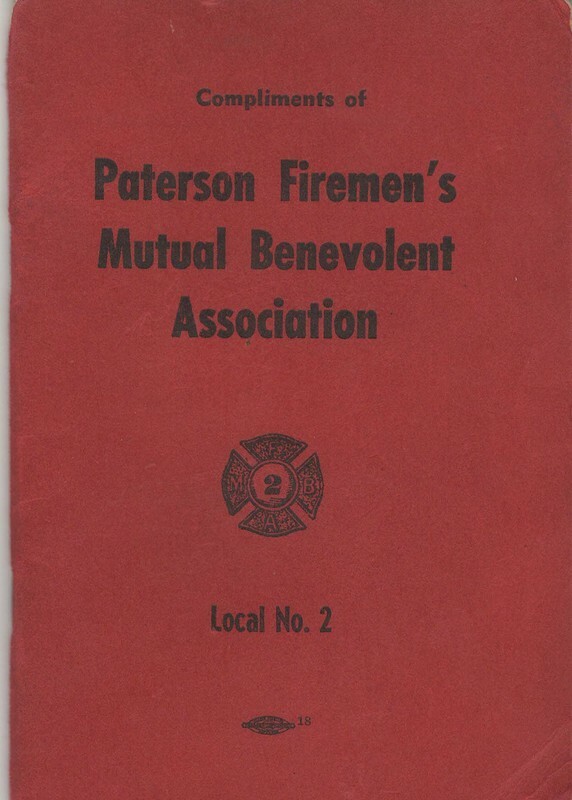 Technically, a 3rd alarm now depletes all Paterson Companies; and mutual aid companies start to cover vacated firehouses. If the fire is still "doubtful" at the time, the Chief may establish a staging area & have the next Engine Co(s) & Ladder Company report to the designated staging area. When that happens a 4th Alarm is transmitted. 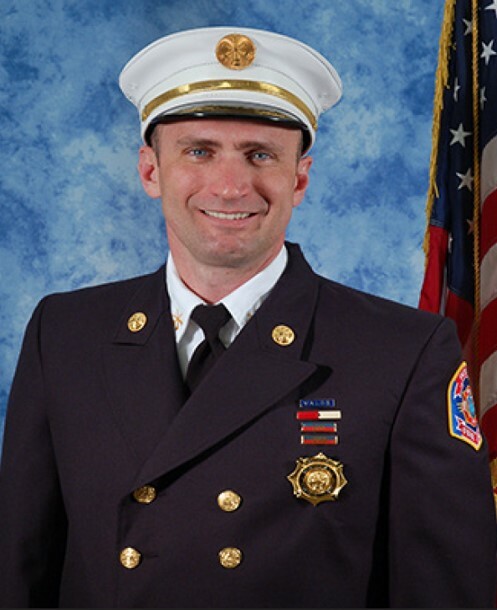 If the staged companies are eventually sent to the fire scene, a 5th Alarm will be transmitted & the 5th alarm companies will be sent to staging to replace the 4th alarm companies. 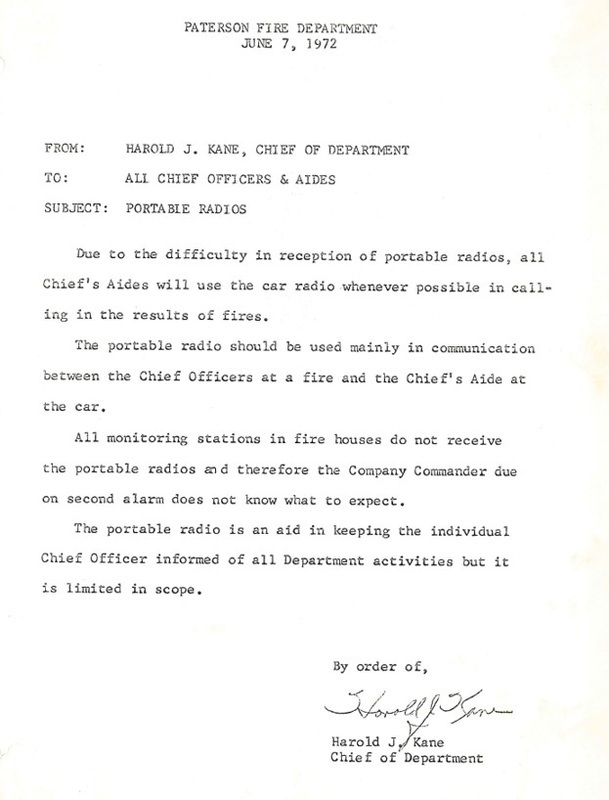 However unlike earlier days, no on scene Chief gets on the radio and requests a "General Alarm." The problem with the alarms terminology is that some departments do not consider it a 4-alarm fire if the 4th alarm companies are assigned to the staging area. 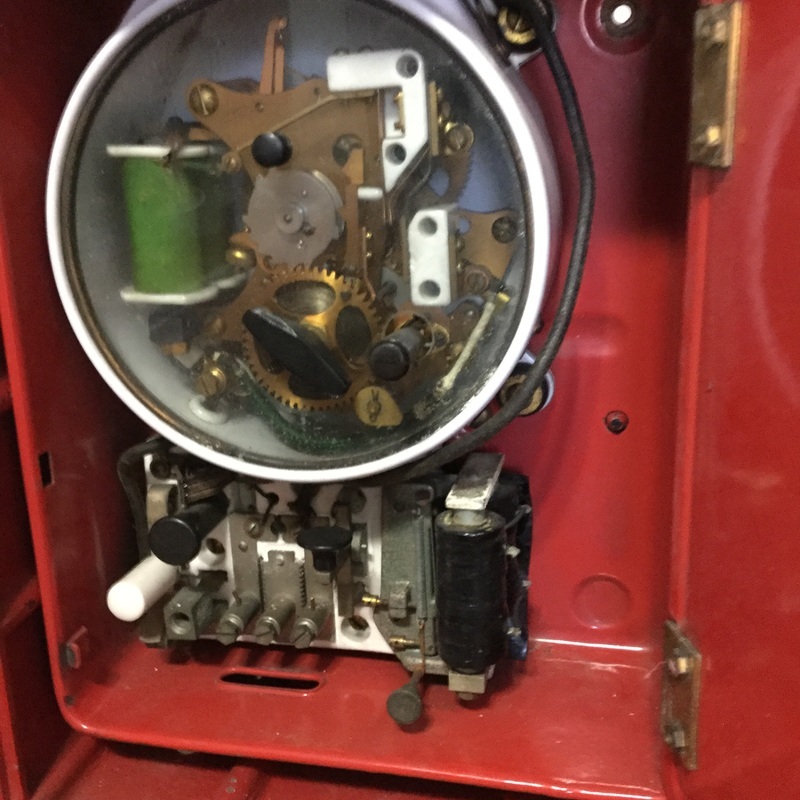 They only "count" the alarm if they were assigned to the fire scene. 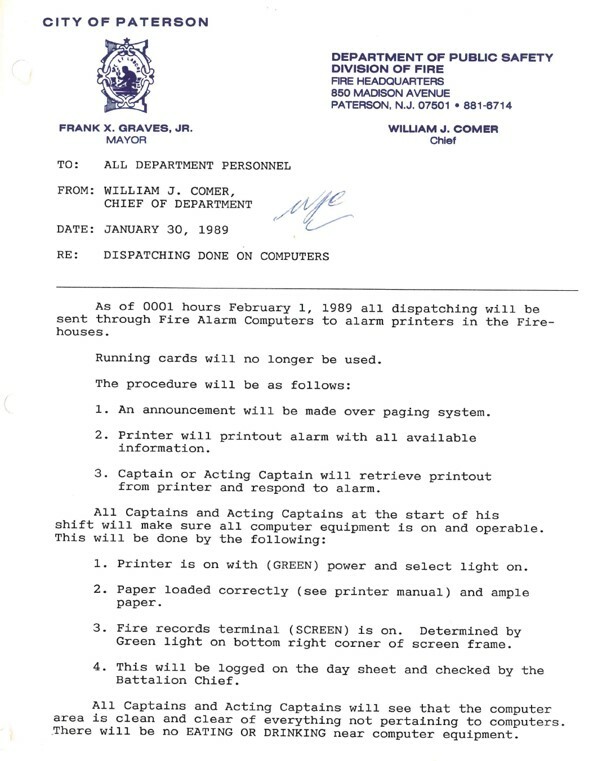 So is no uniform way of counting the # of alarms, and every department counts it differently. The other problem is the staging area is used depending on the status of the fire. It could be the same 3-alarm fire, but if it does not appear to be "darkening-down", they may stage the 4th alarm companies. If the fire scene is not darkening they will not transmit a 4th alarm & stage any companies. The general alarm may be a term used for reports and for press releases, but as noted it is not used when requesting additional companies. 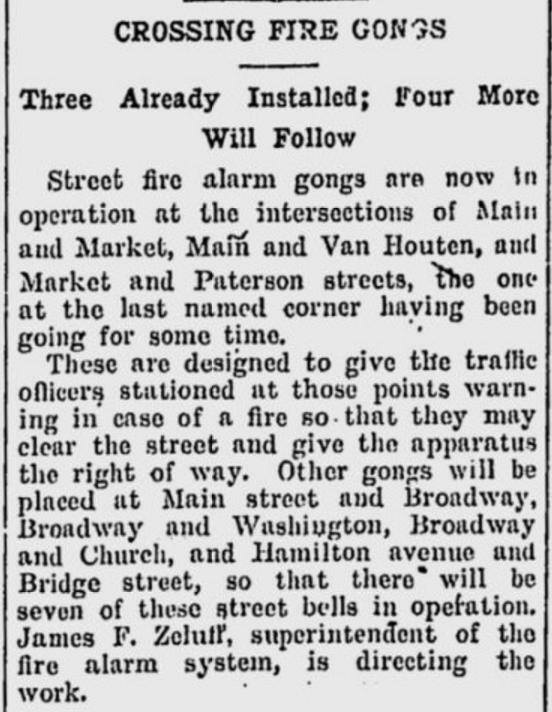 Thus current understanding of the term General Alarm is when all Paterson Companies are depleted and mutual aid companies are deployed to the fire regardless of whether it technically was a 4th, 5th, 6th or higher alarm fire. 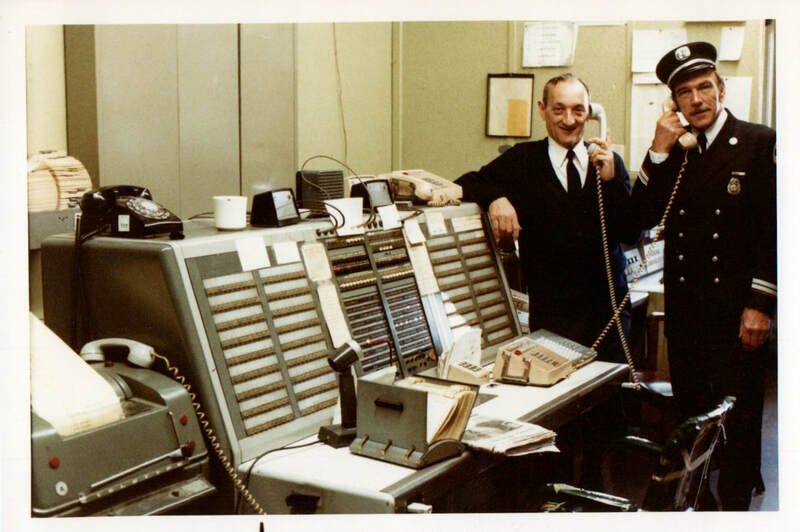 The phrase or term general alarm may used for reports and for press releases, but it is not used when requesting additional companies. 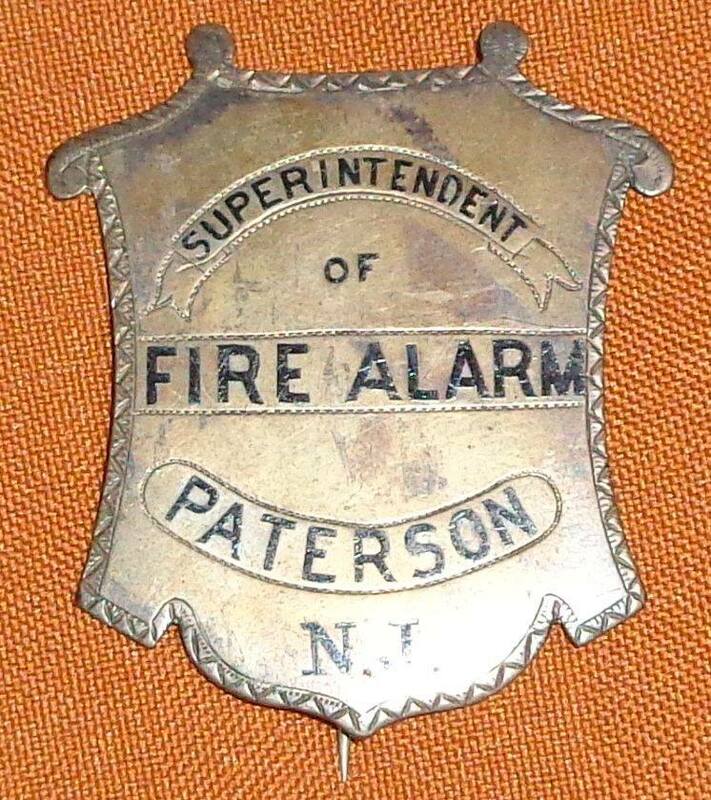 Thus current understanding of the term General Alarm is when all Paterson Companies are depleted and mutual aid companies are deployed to the fire. 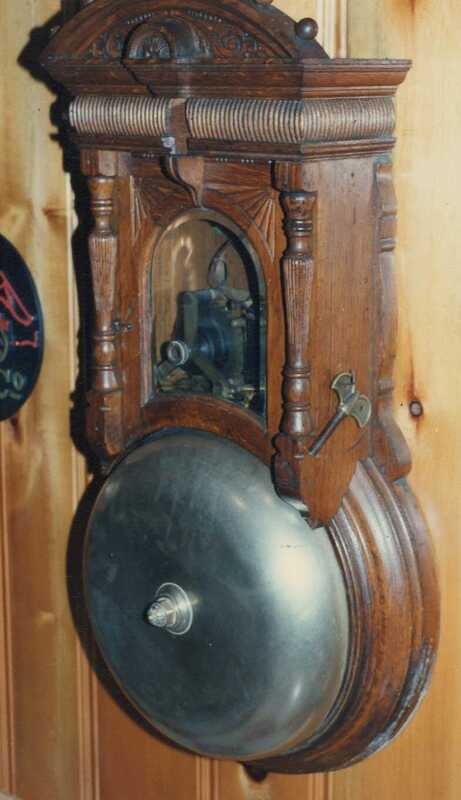 ​But what about the old days when alarms were still transmitted by bells? 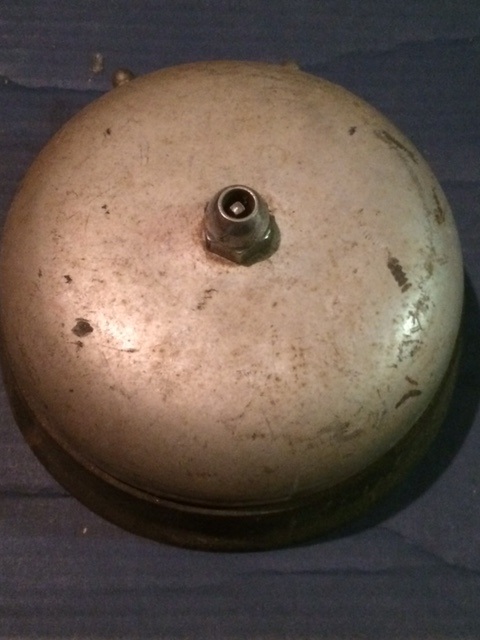 When a street box was pulled by a citizen, 4 "rounds" would sound through out the department. 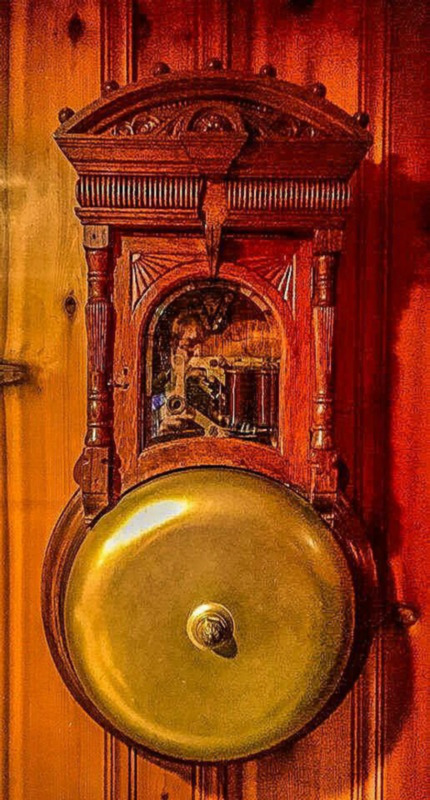 For example Box 195 if pulled would make the gongs sound "195" 4 times - In each round the bells would chime once - slight pause - then 9 times - slight pause then 5 times. That sequence would occur 4 times in succession. 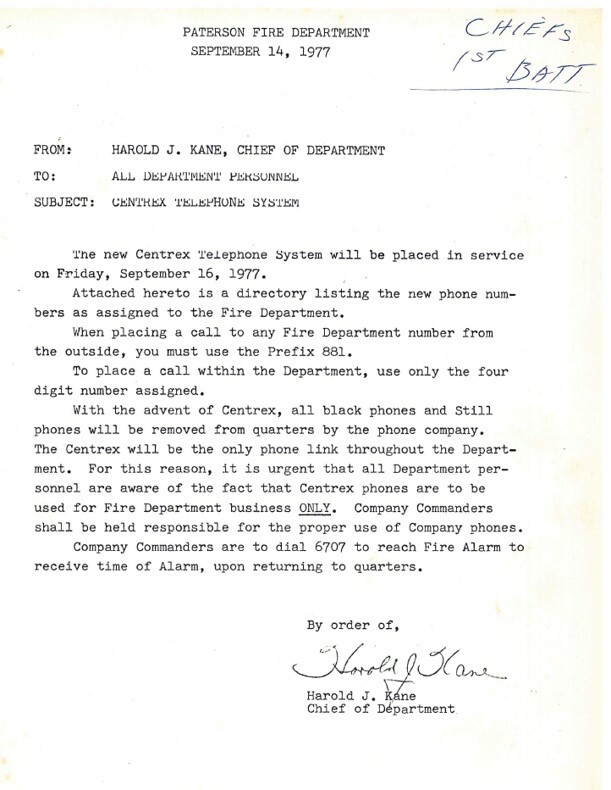 If a citizen called in the fire in that area by phone Fire Alarm would dispatch the furst due company and then transmit "195" only two times. 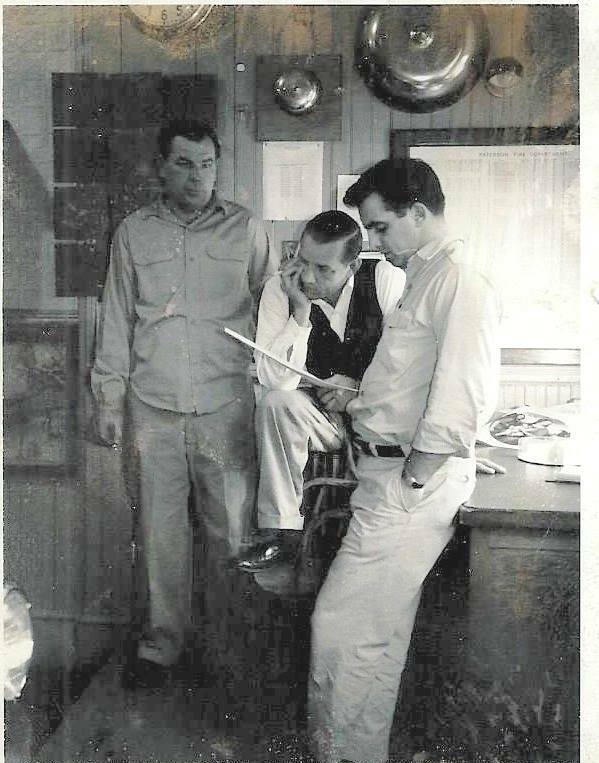 The glass enclosed device is a "repeater"
An older Superintendent Zeluff seen at left with straw hat. Lineman James Duffy at right. 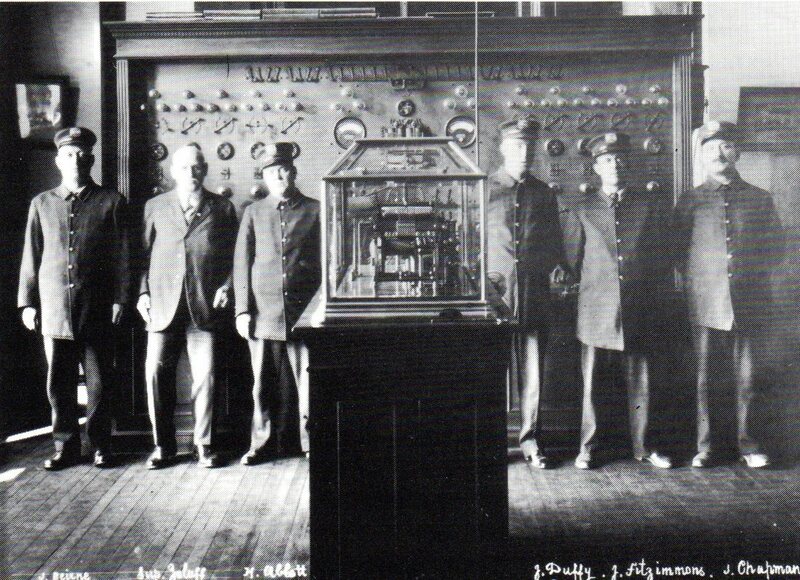 Large repeater in center. 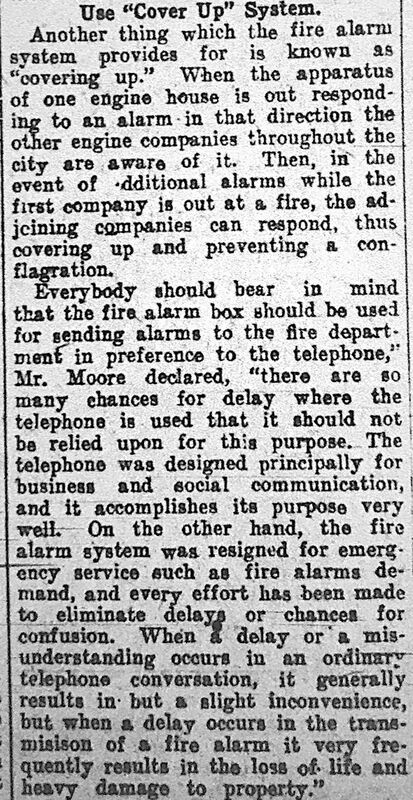 ​Daniel Moore was appointed as a lineman to Police and Fire telegraph May 21, 1920 and became Superintendent of Fire Alarm on February 16, 1922. 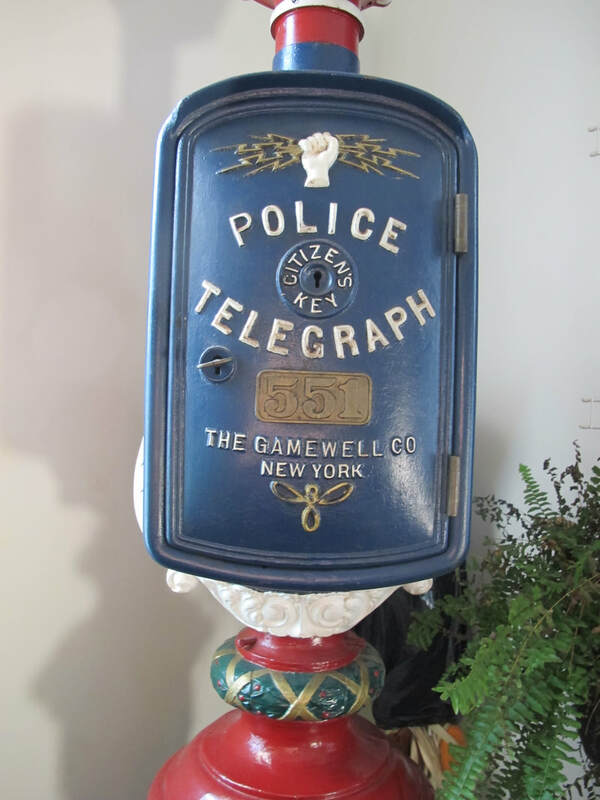 At that time they had 253 Fire Alarm boxes, 108 Police Boxes and 108 Police flashlights. Notice the unique hat badge. one truck company and a battalion chief. 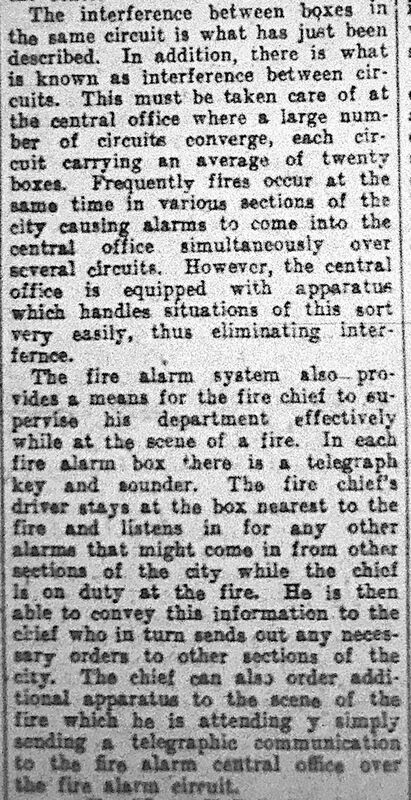 Some boxes inn the business and factory districts call for 4 engine companies a truck, a battalion chief and a deputy chief. All hospital boxes get 4 engine companies, two truck companies on a first alarm and two chiefs. 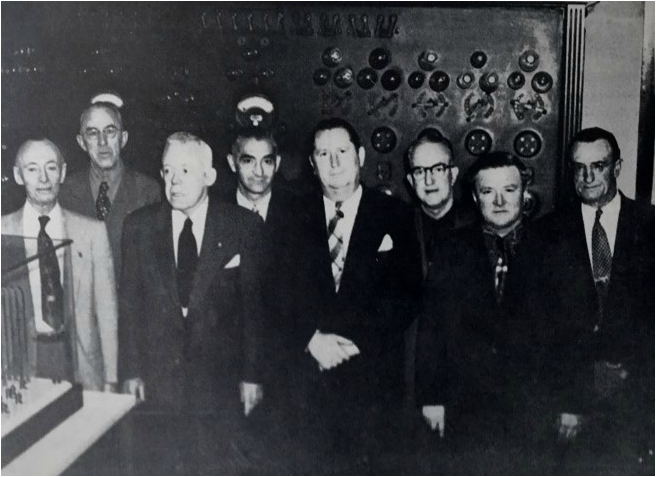 1954 Ball book photos: Fire Alarm (Police and Fire Telegraph) at City Hall - L-R: James Brady, Captain John Holley, William Blanchfield, Joseph Recca, Edward Cusack, David McGrady, Charles, McGhee, John Mial. 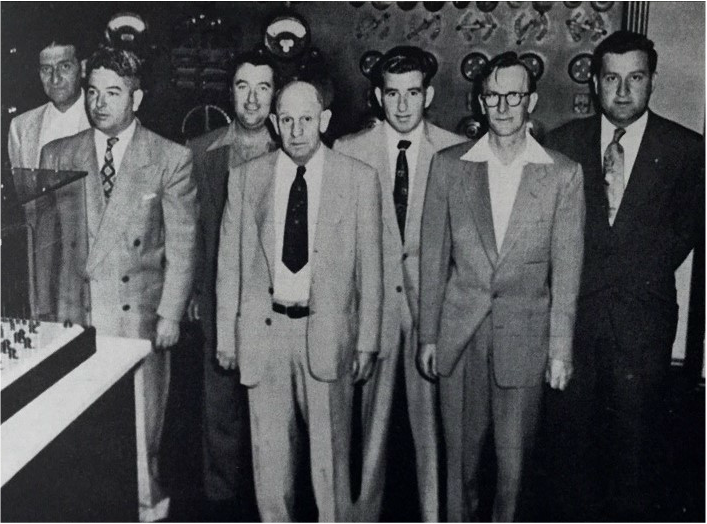 L-R: Frank Delmonico, Harry Gourley, Daniel Weslh, Joseph Gaughan, Acting Superintendent John Dougherty, Donald Walker, Vincent Scarmozza. 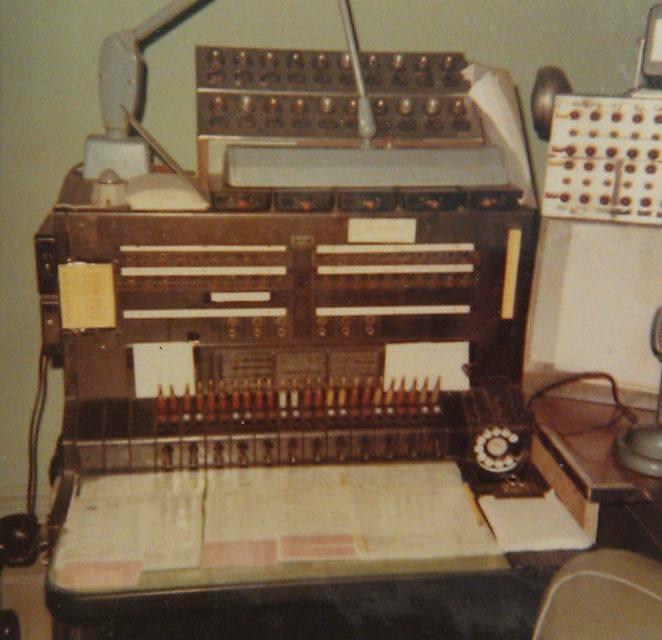 The state of the art Field Com Unit plays a major role at fire scenes when employed. It has a meeting room with a telescoping / zoom camera and TV screens etc. 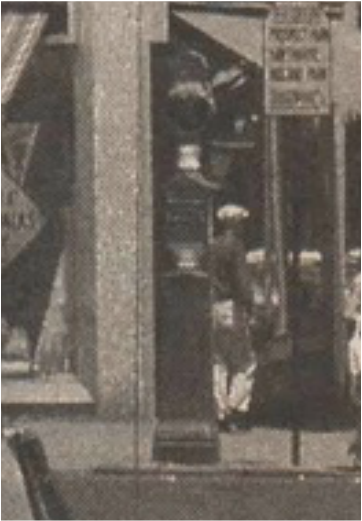 Below left is the Gamewell Stanchion that stood at the intersection of Main St and Broadway, beneath the Port Arthur restaurant. Unique were "street strikers" which consisted of a fire gong that sat on top of the stanchion (the actual one is at right). This alerted policemen directing traffic in downtown Paterson to know that apparatus would be coming by. 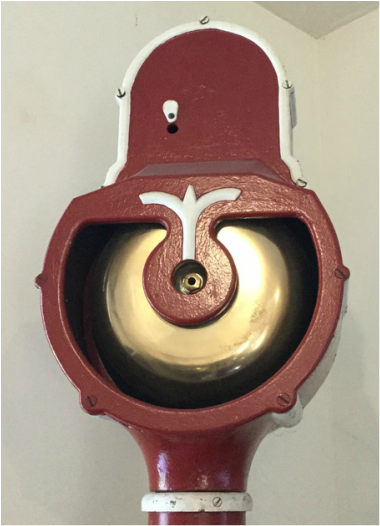 The entire stanchion shown below is at the NJ Firemen's Museum in Boonton, NJ. Three views of another Paterson Stanchion on top of which was a street lamp.